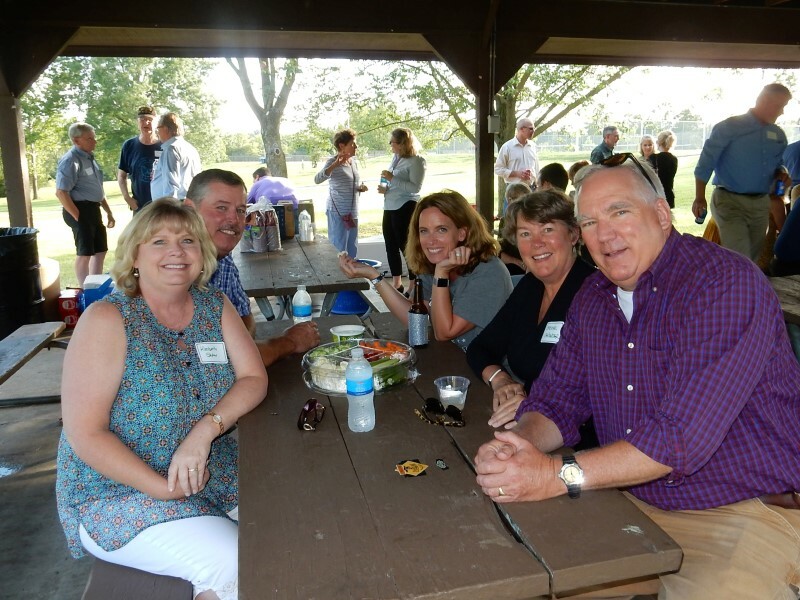 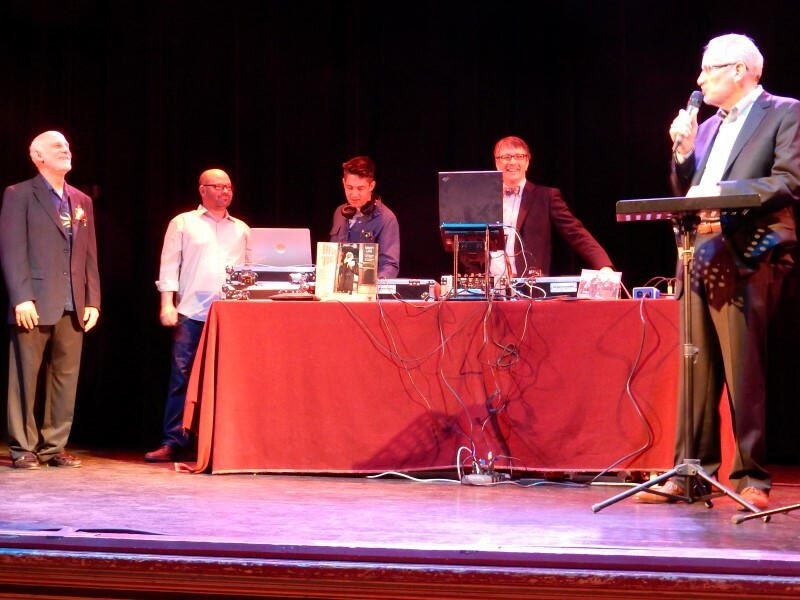 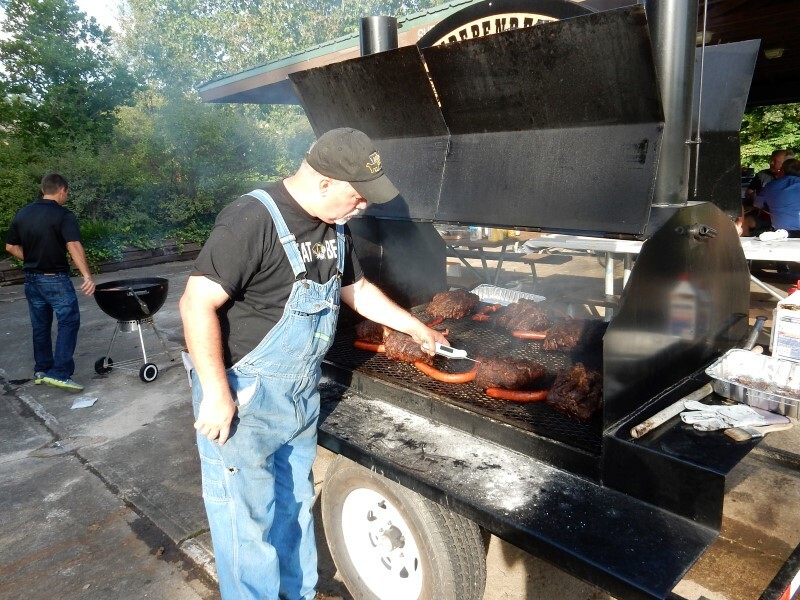 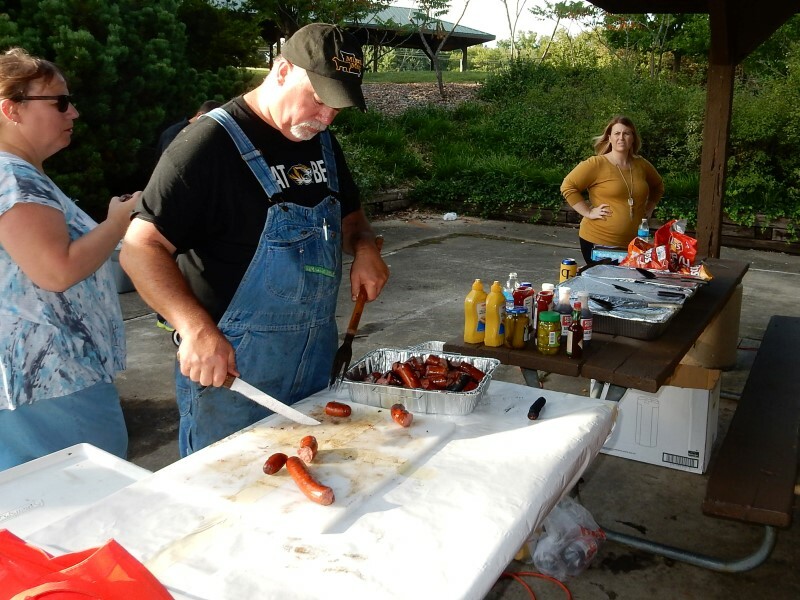 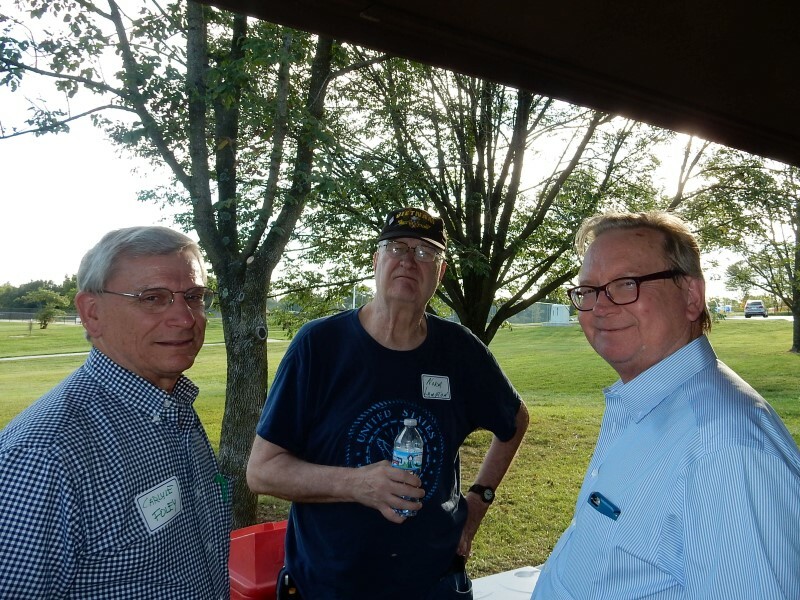 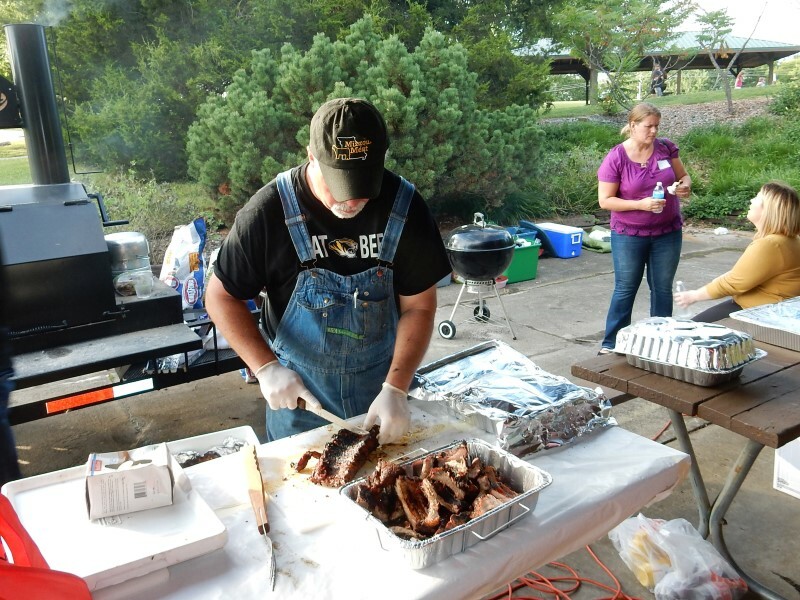 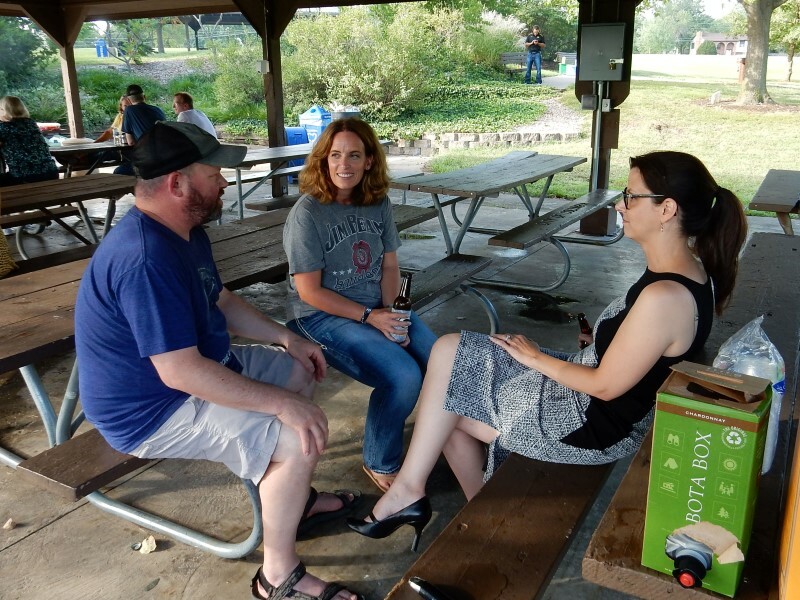 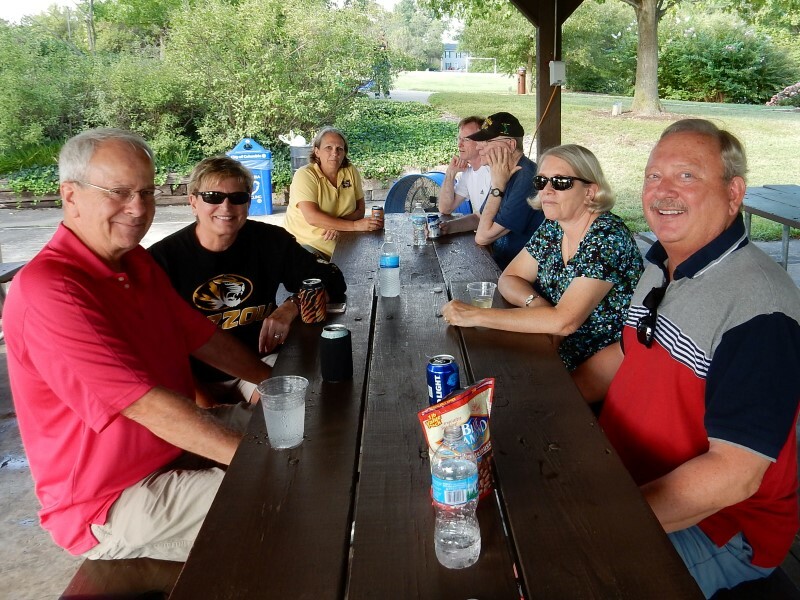 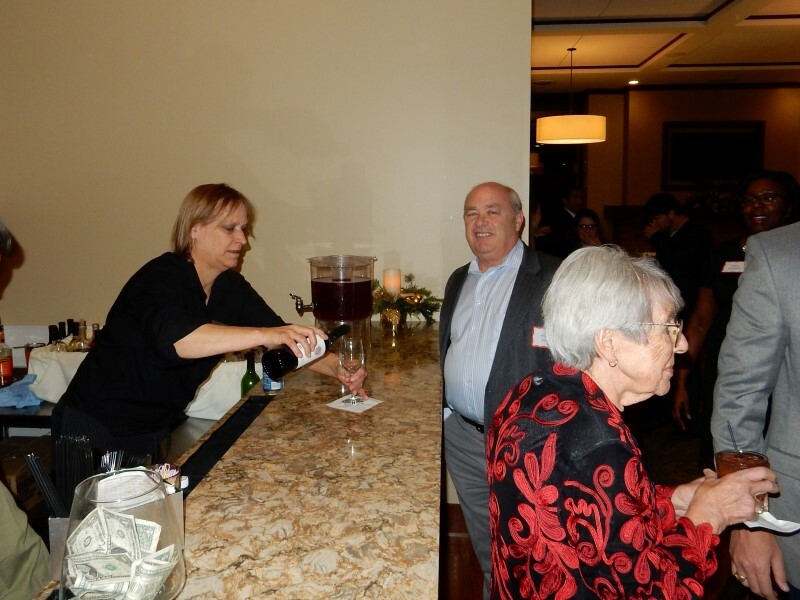 Photos of bar-related activities are posted here as available. 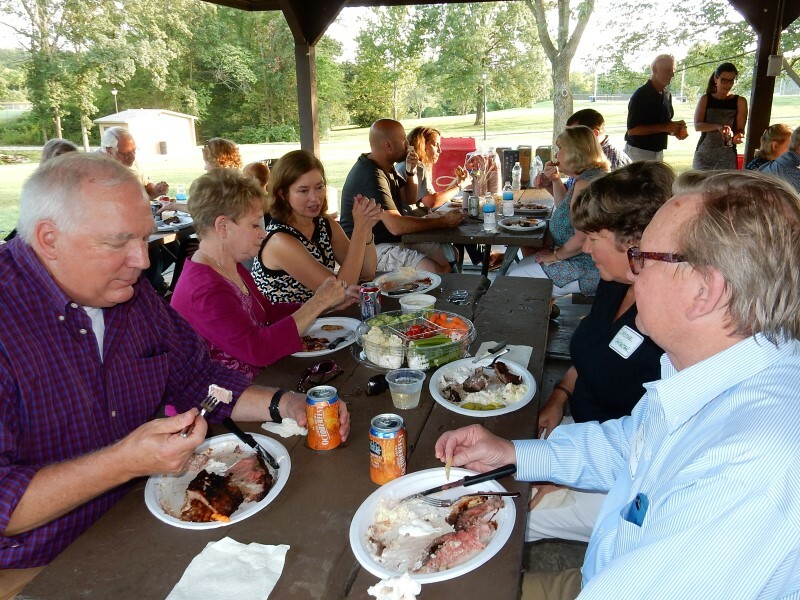 Most photos are in slideshows (click the arrows to change photos). 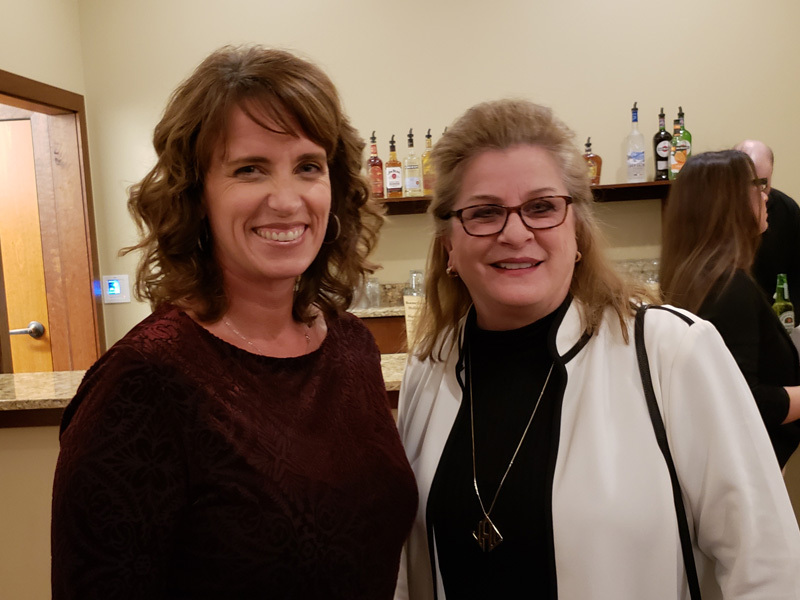 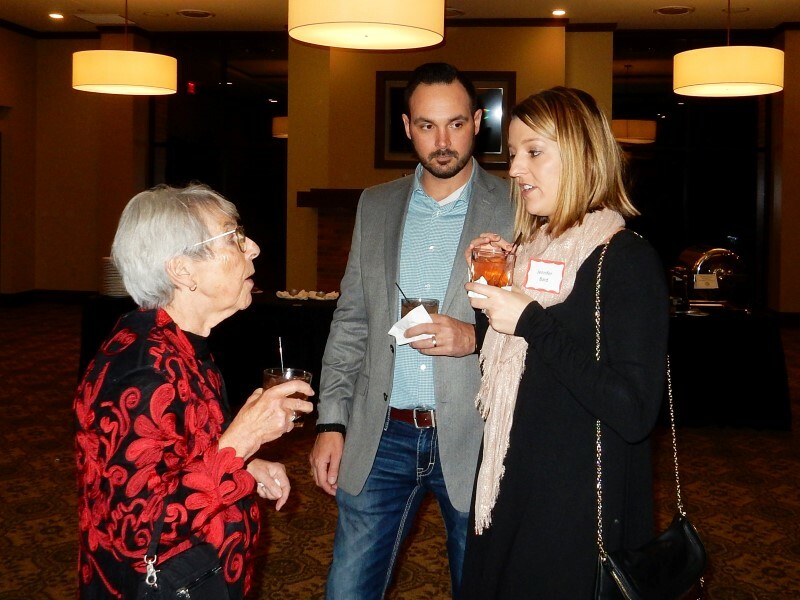 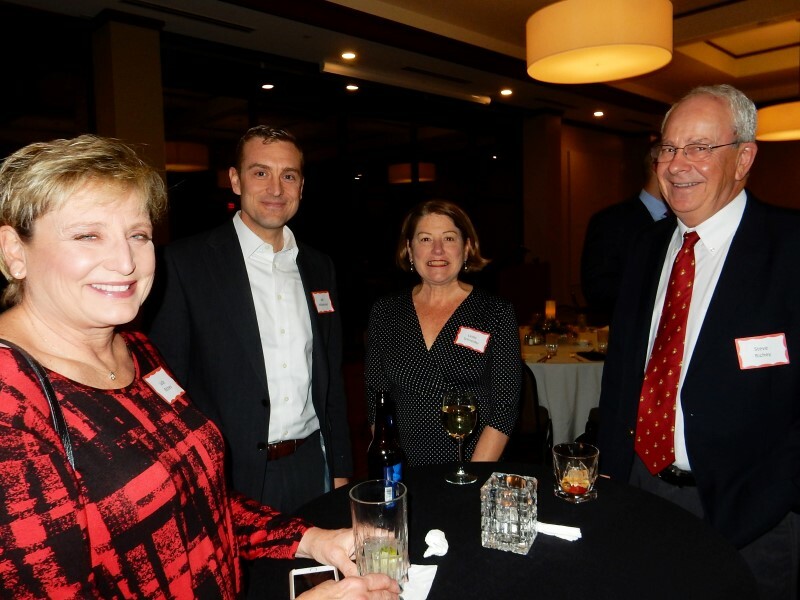 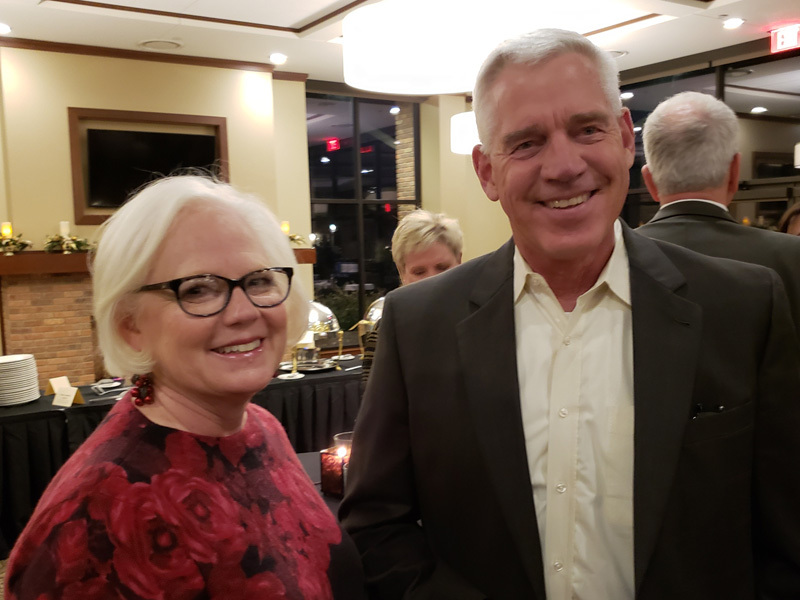 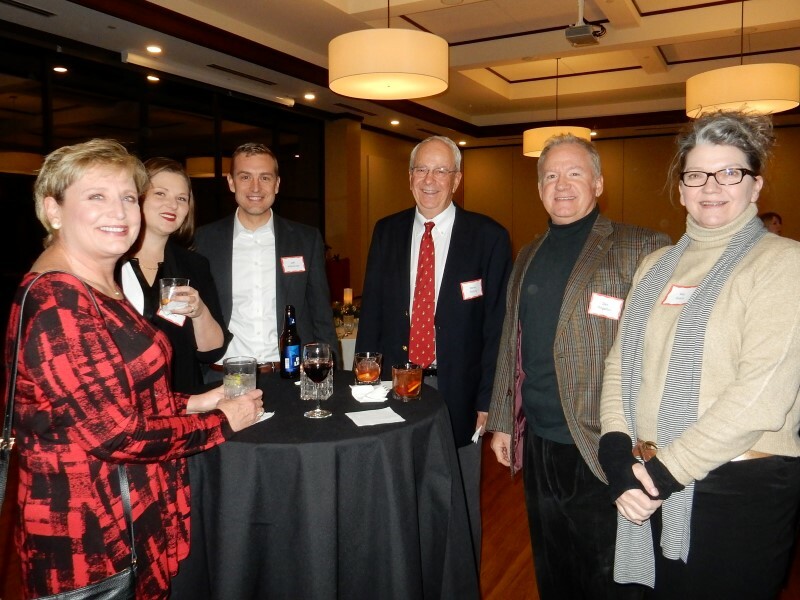 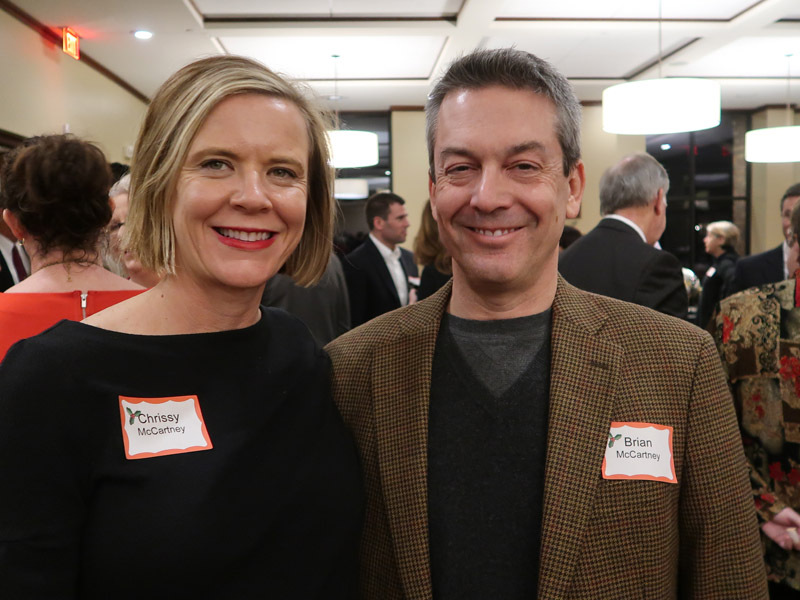 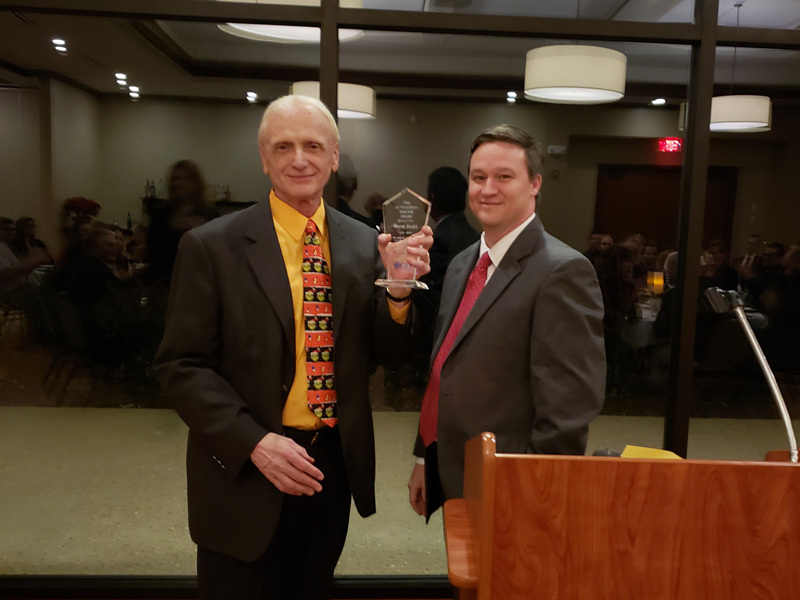 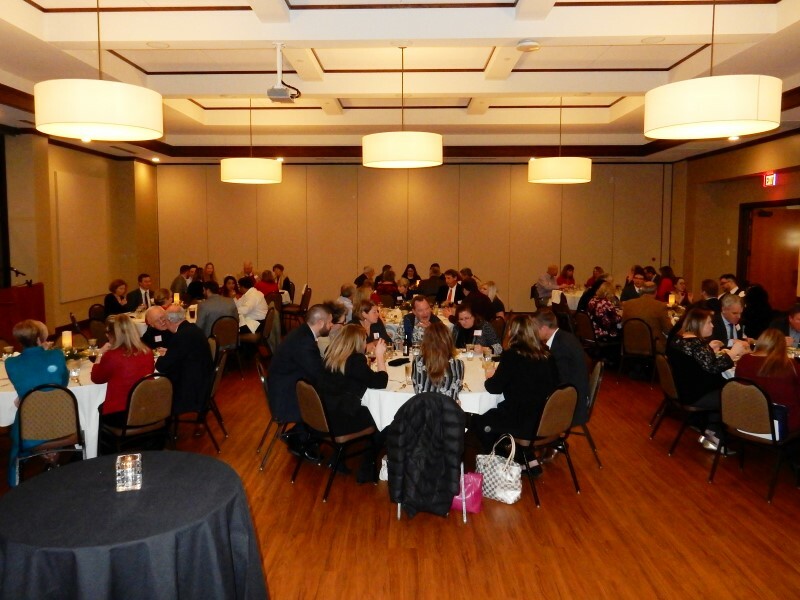 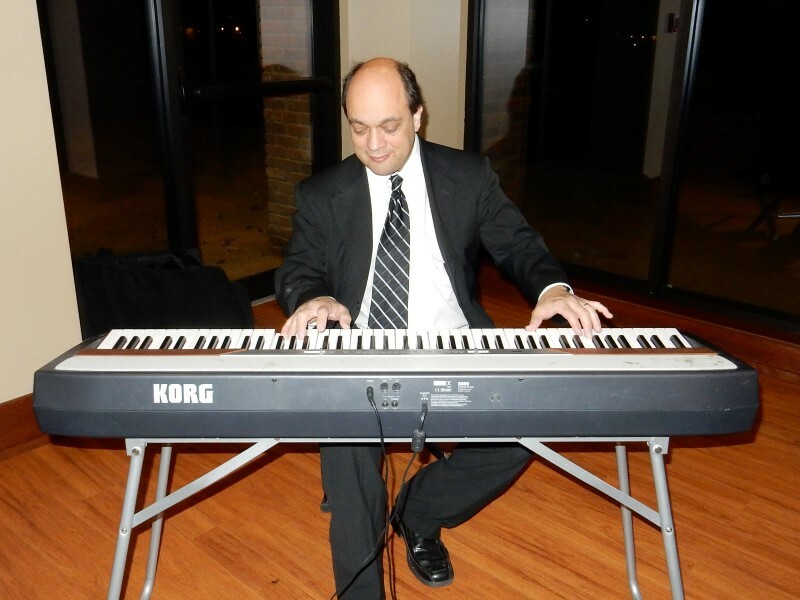 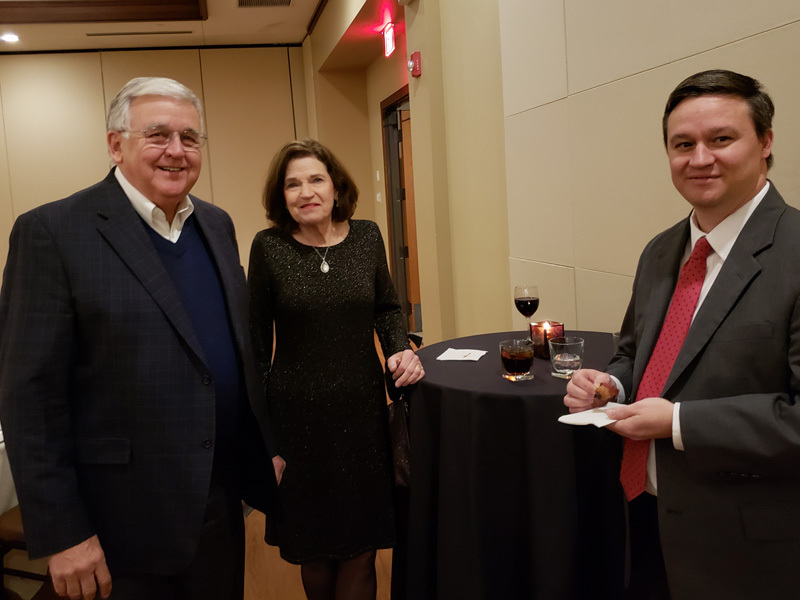 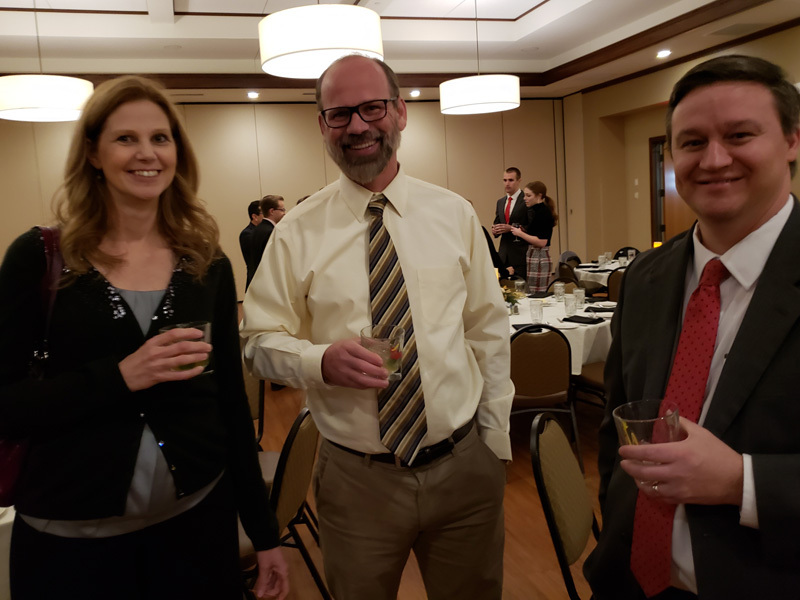 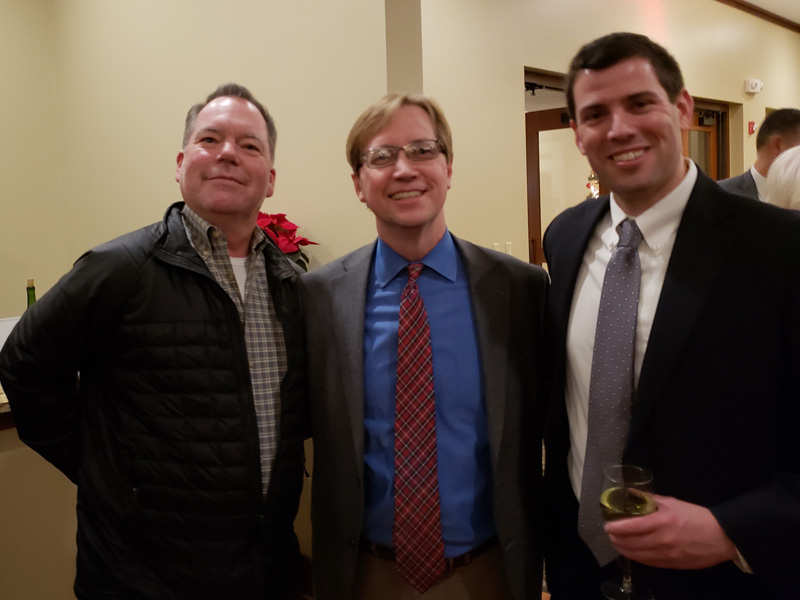 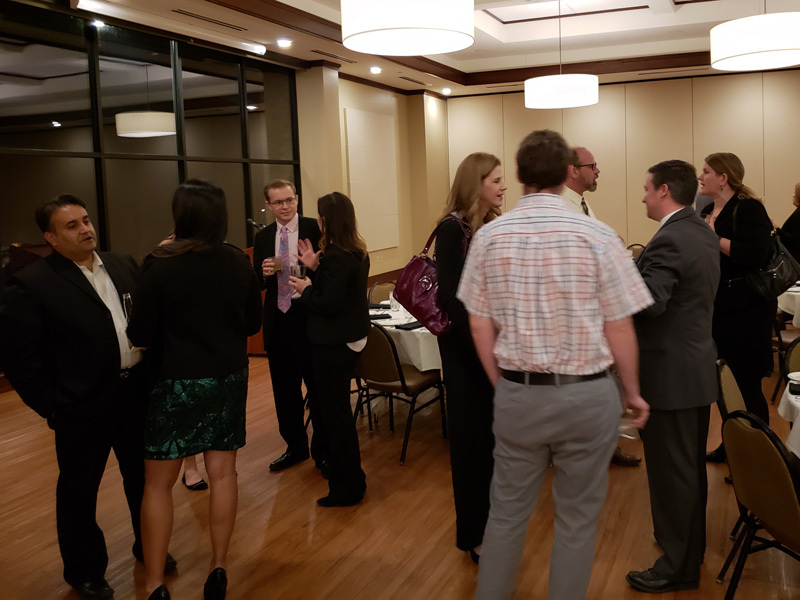 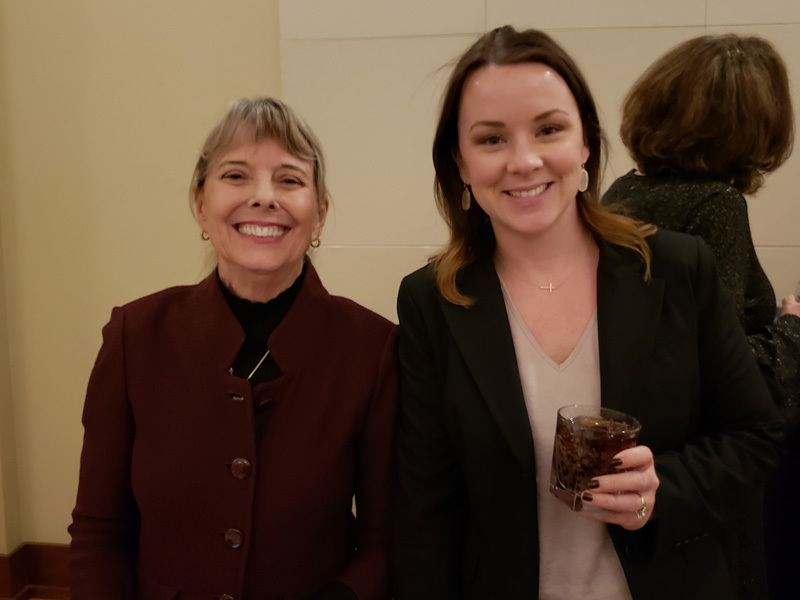 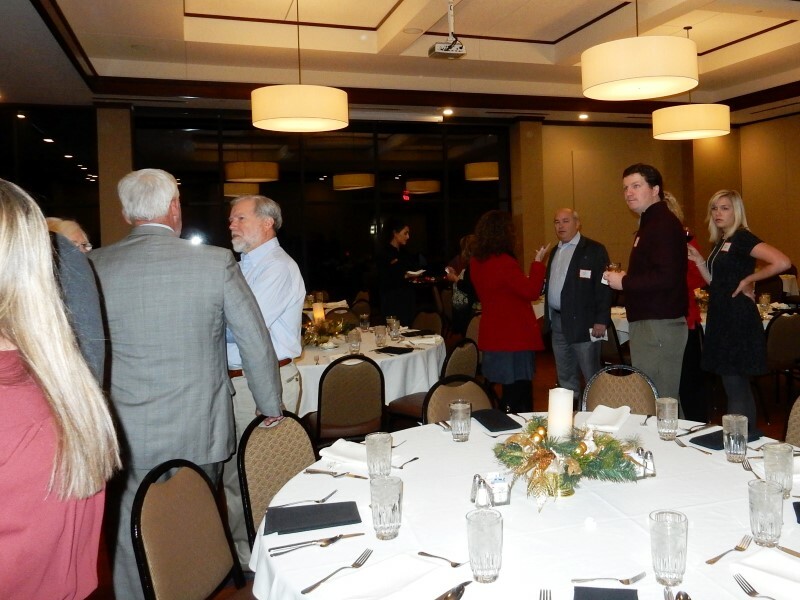 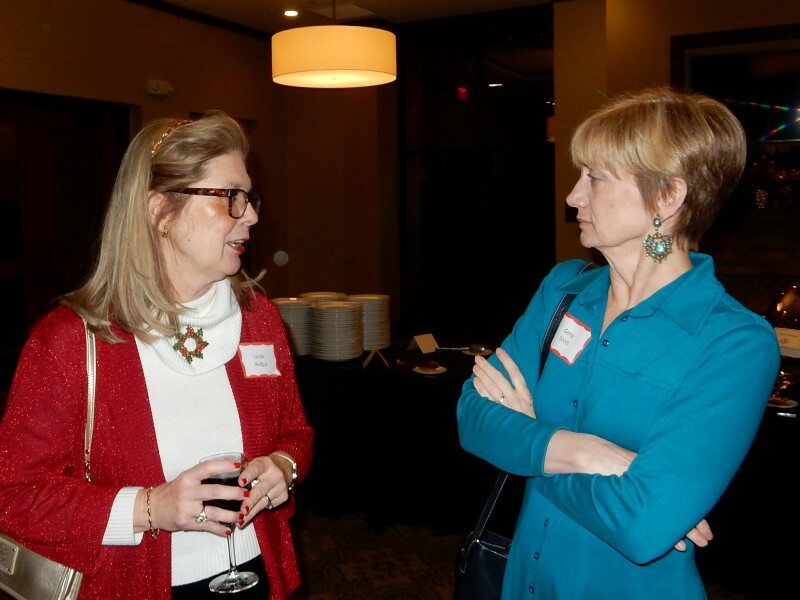 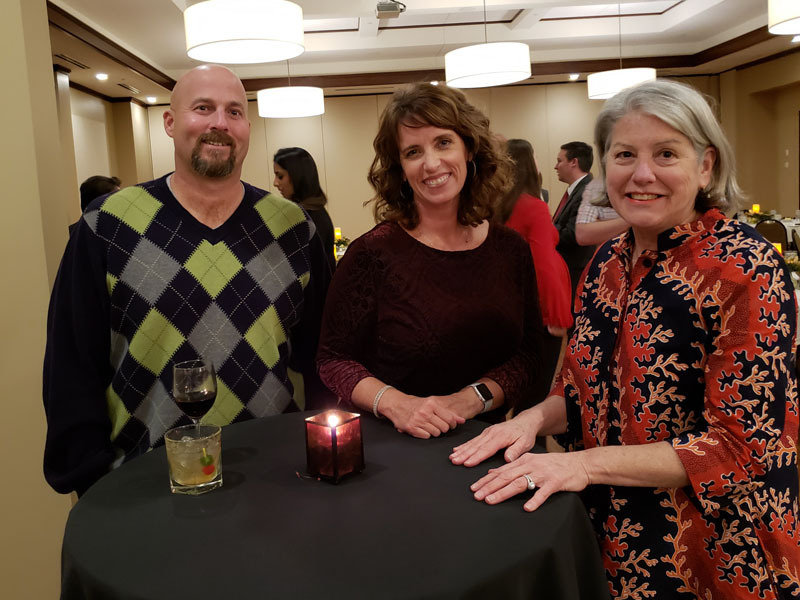 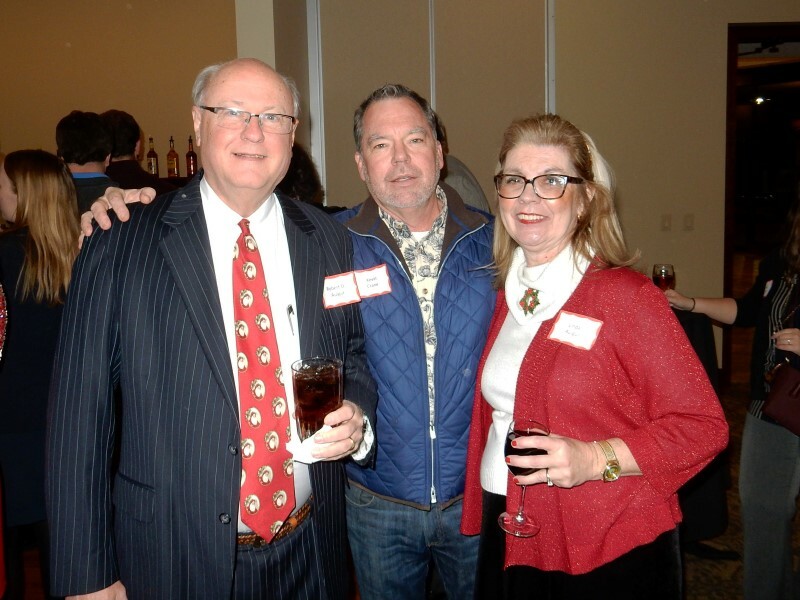 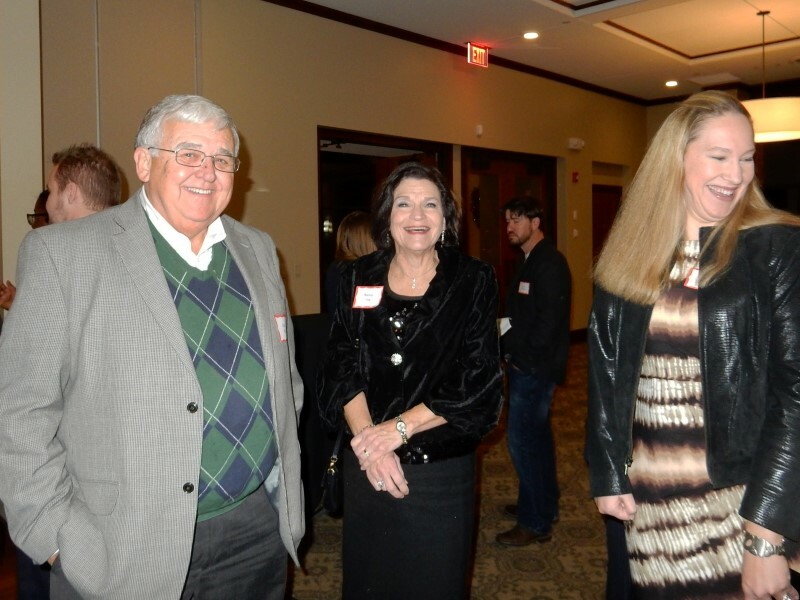 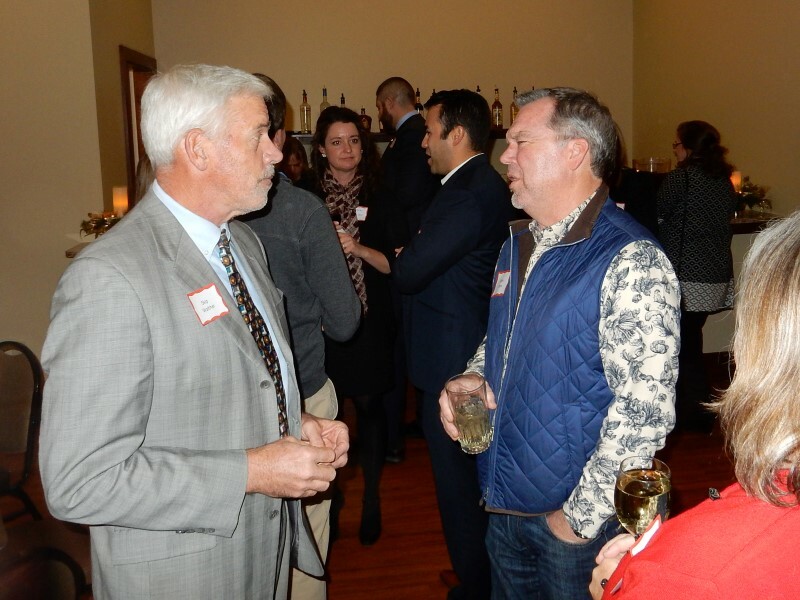 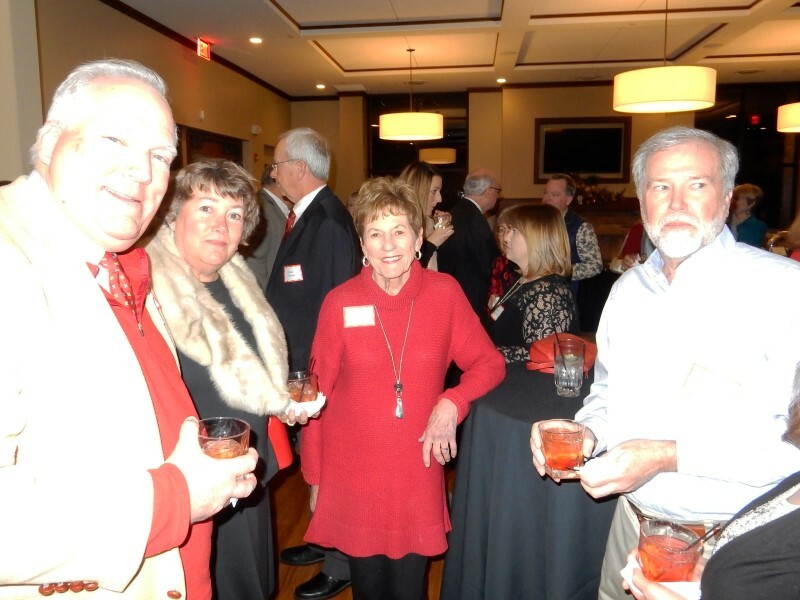 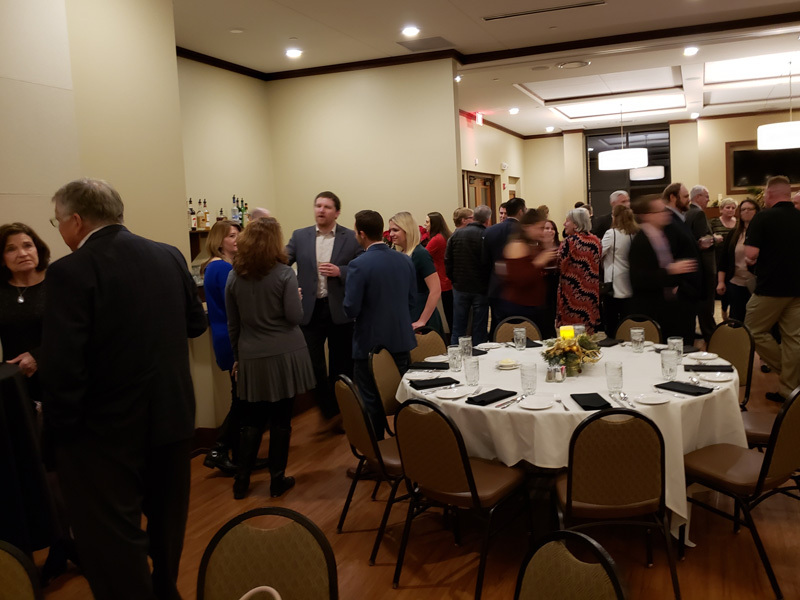 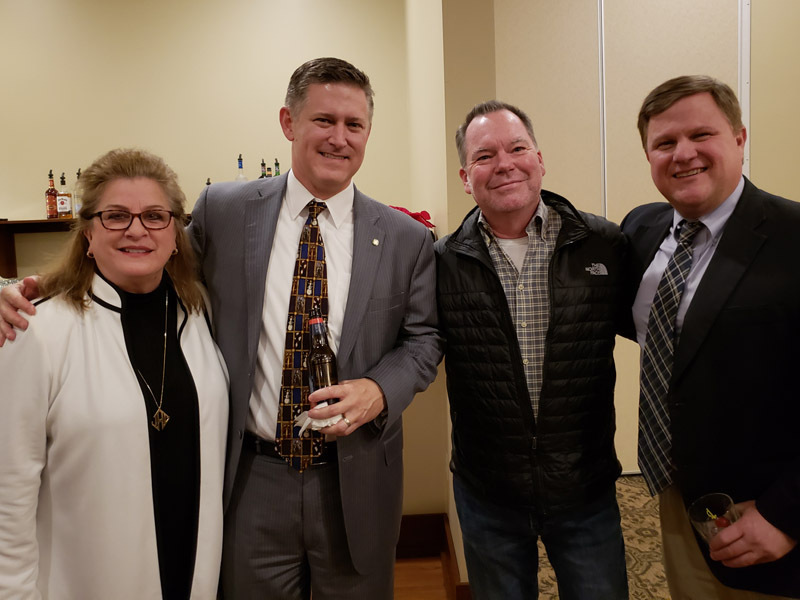 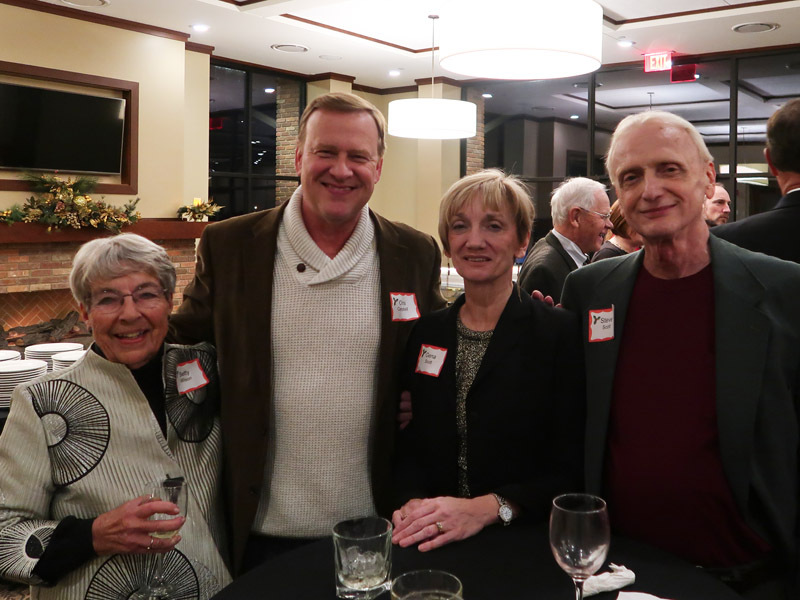 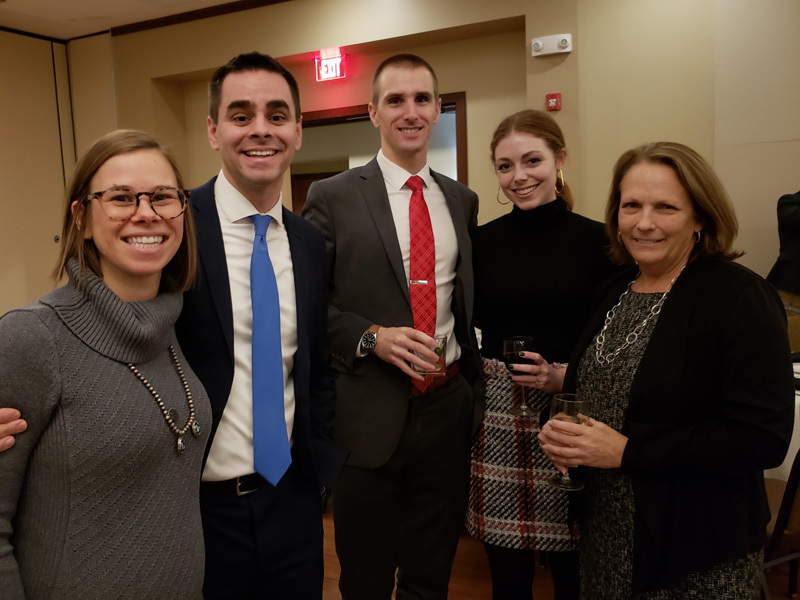 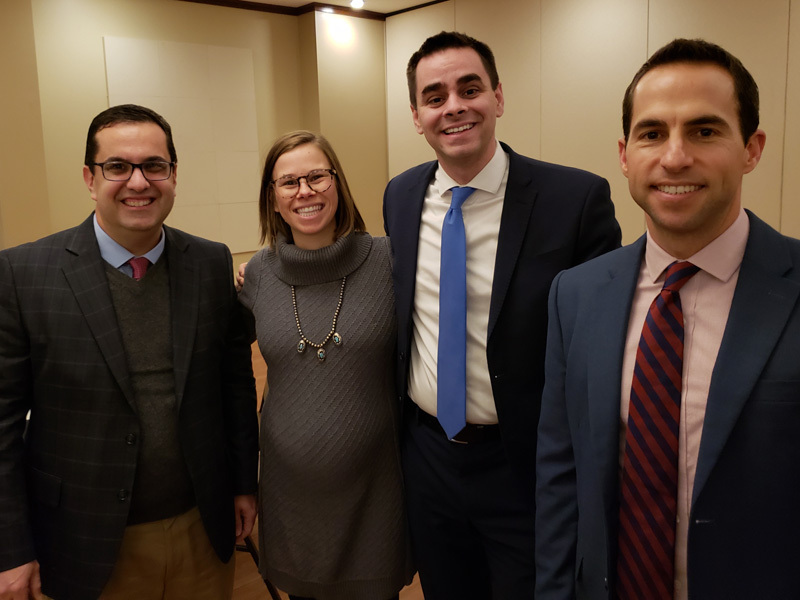 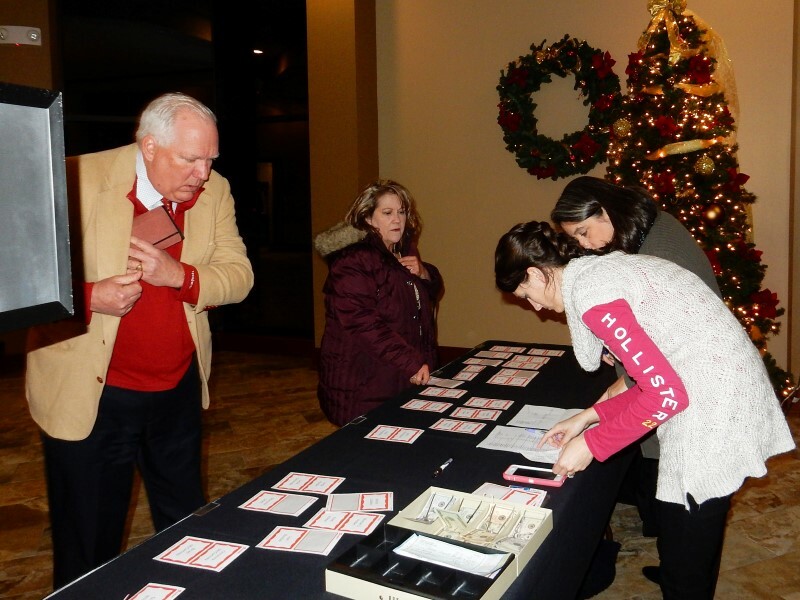 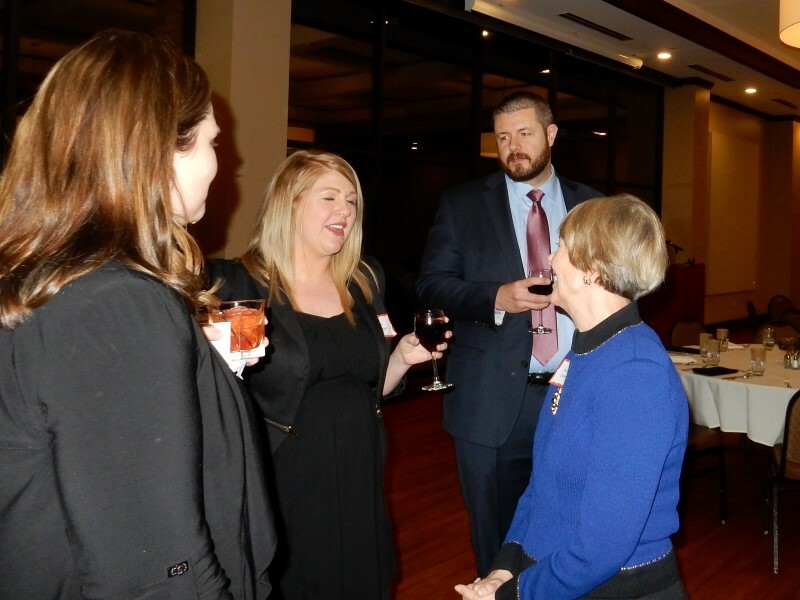 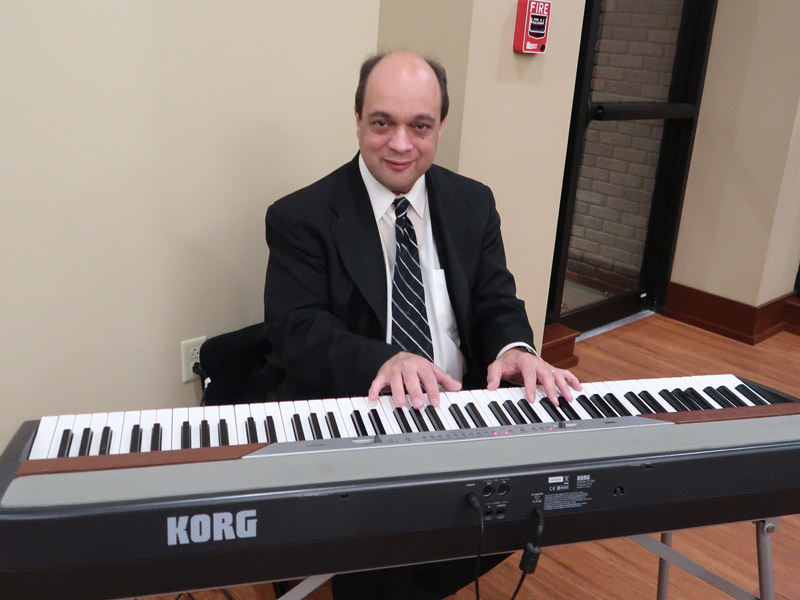 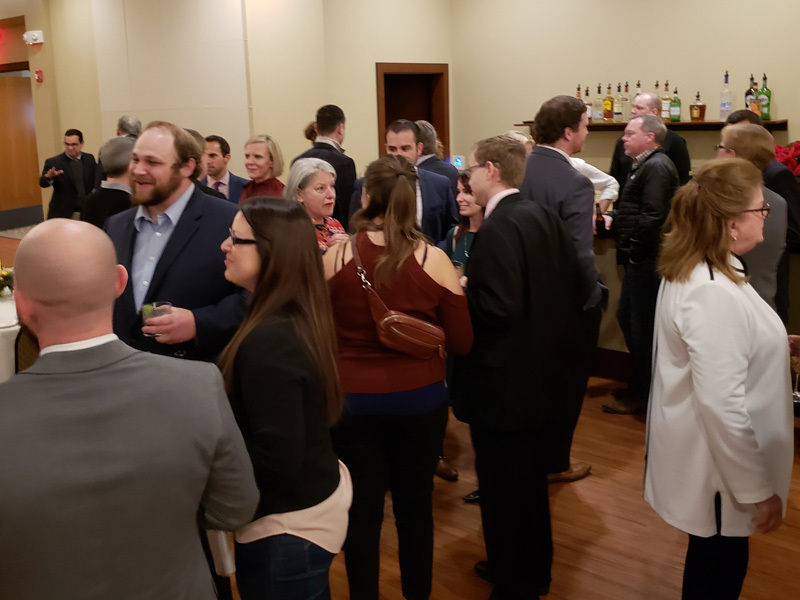 The annual Holiday Party was held at the Country Club of Missouri on the evening of Dec. 12, 2018. 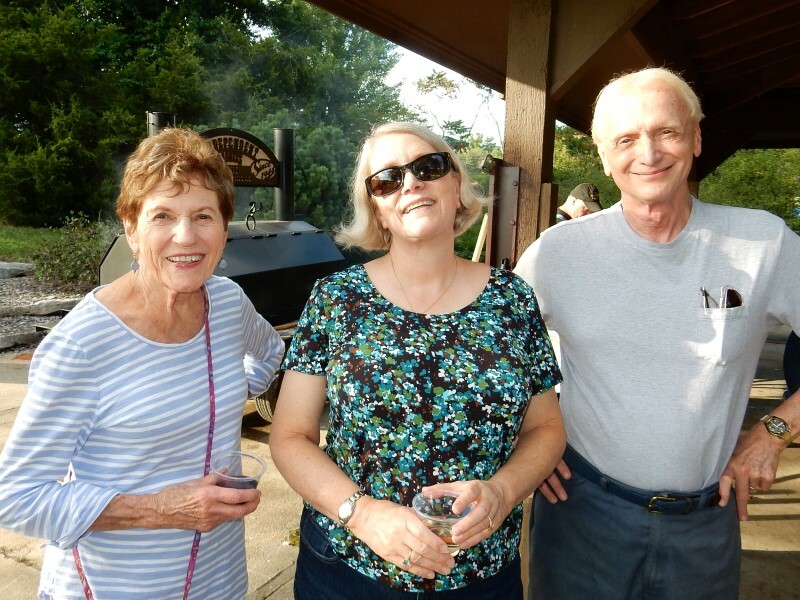 Spouses and dates were welcome. 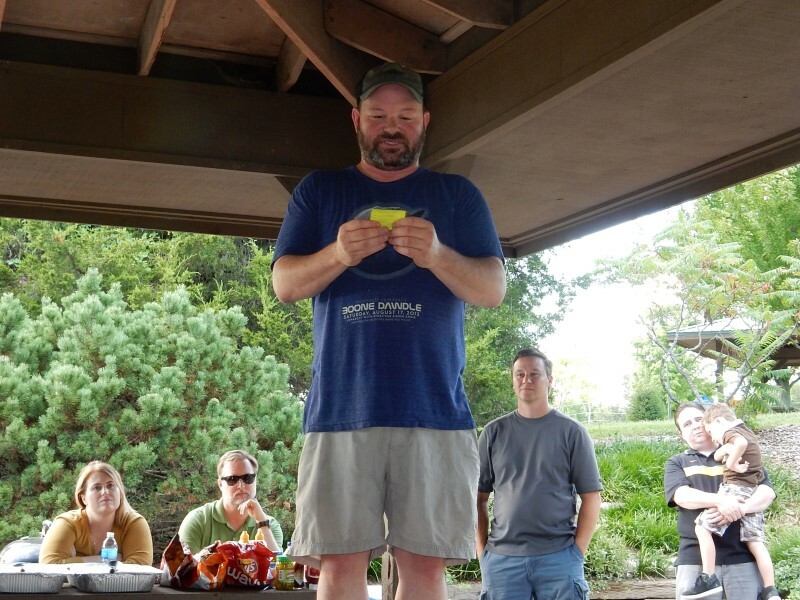 Click the arrows to see the next or previous photo in the slideshow. 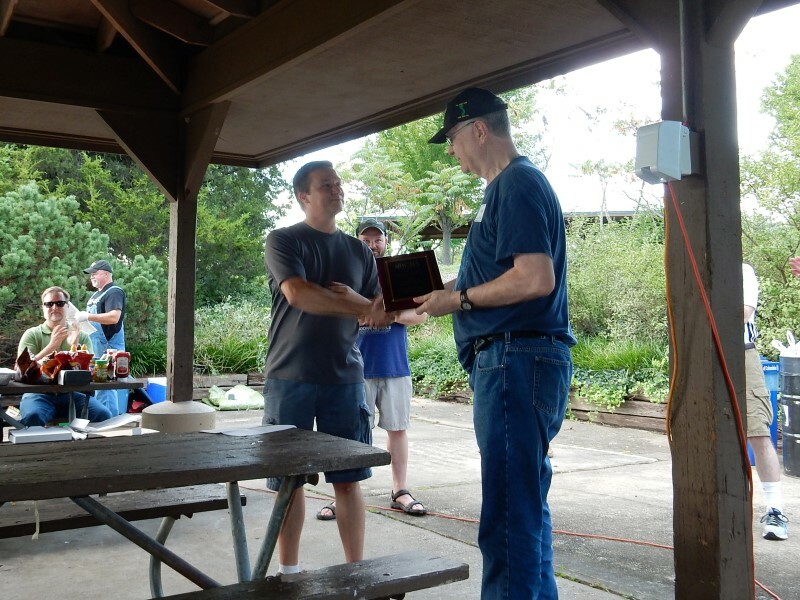 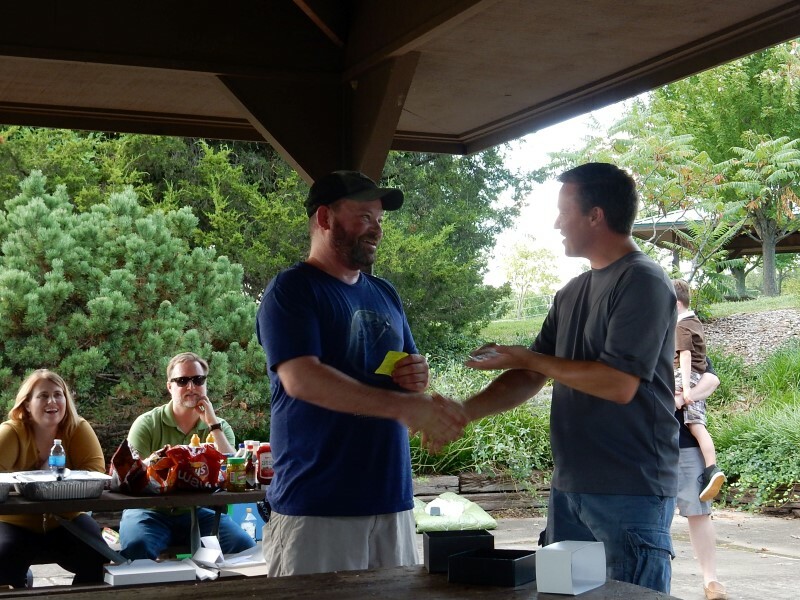 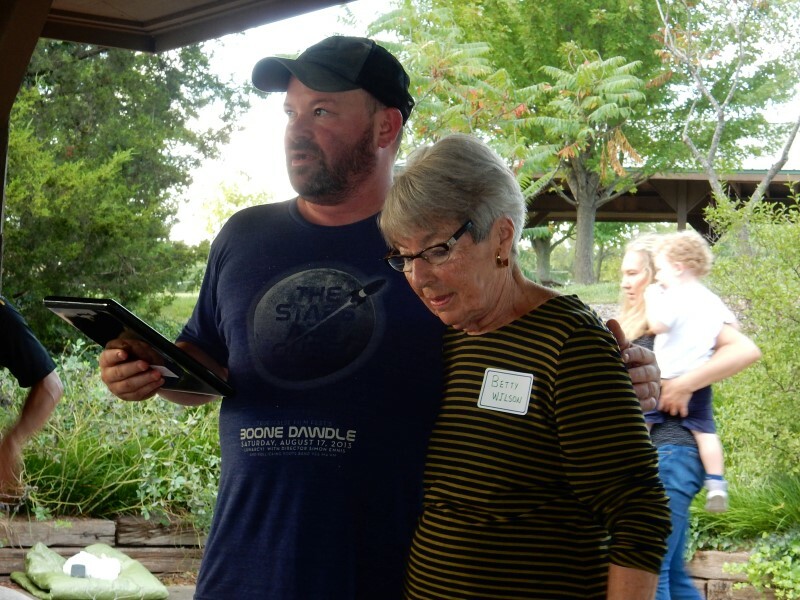 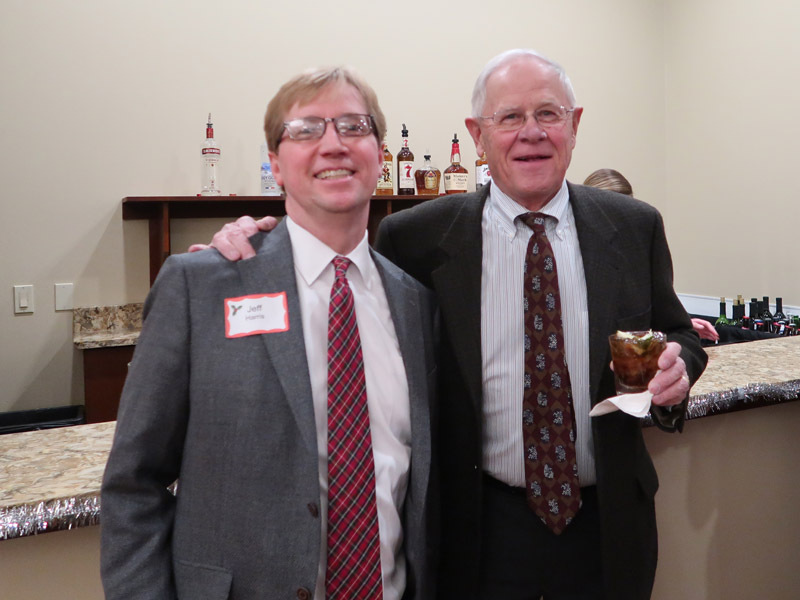 Steve Scott, left, received the bar's Outstanding Service Award from outgoing BCBA President Jason Simmons. 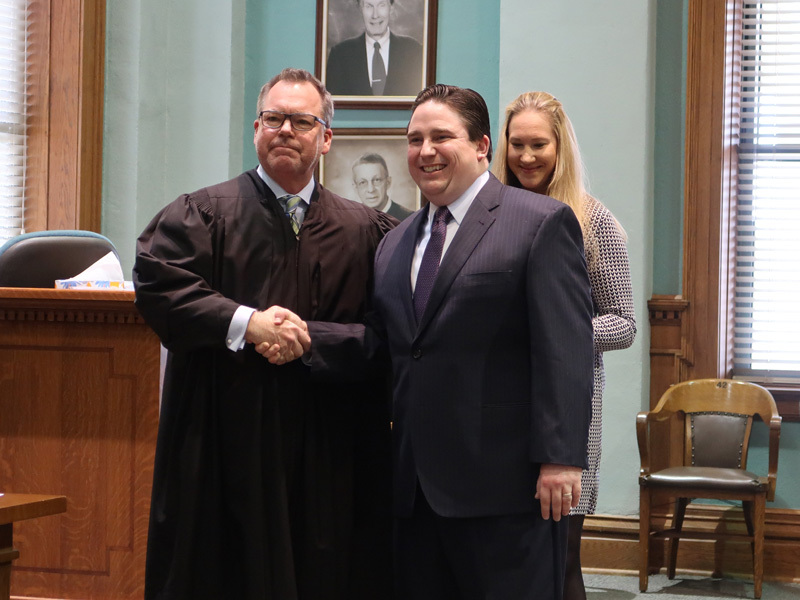 Joshua C. Devine, appointed by the Governor as Associate Circuit Judge of Division XI to succeed Deborah Daniels, who retired, was sworn in during a ceremony in the Ceremonial Courtroom at the Boone County Courthouse at 4 p.m. March 9, 2018. 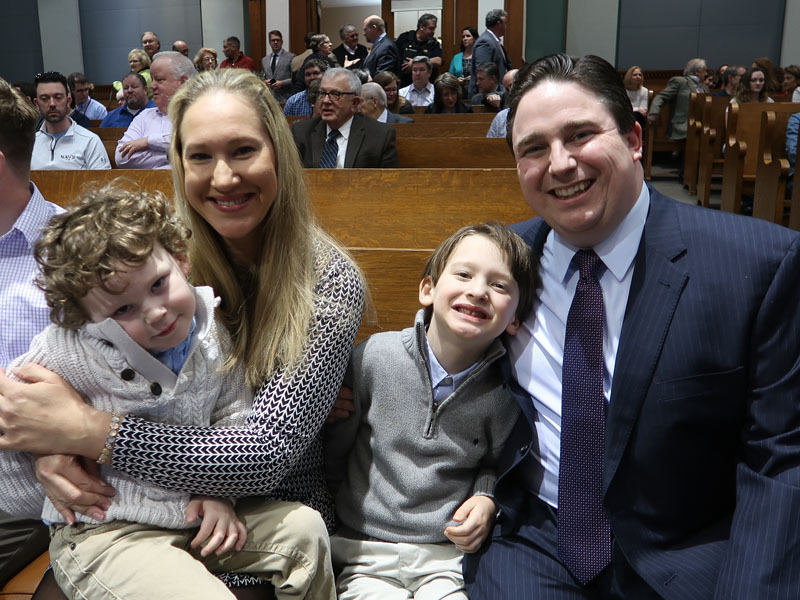 Judge Devine and wife Christina posed with their two sons before the ceremony. 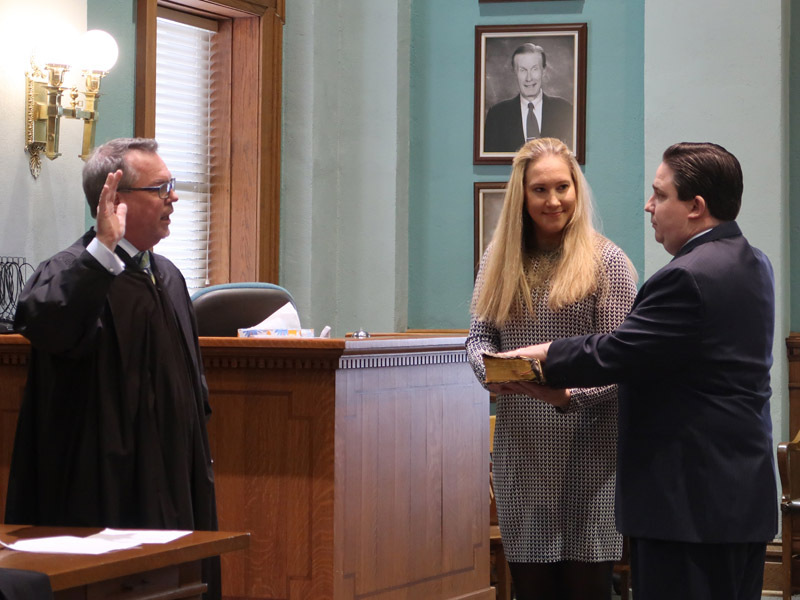 Presiding Judge Kevin Crane swore in Judge Devine. 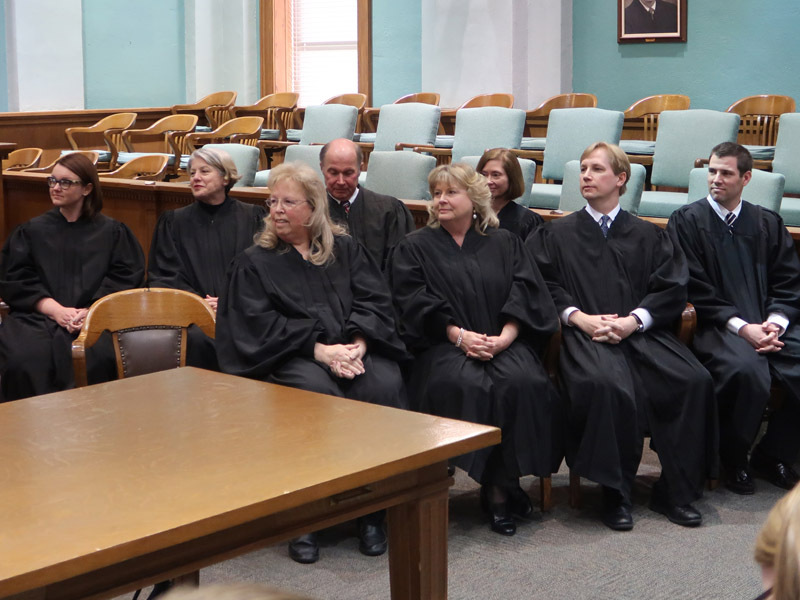 Other 13th Circuit Judges observed the swearing-in. 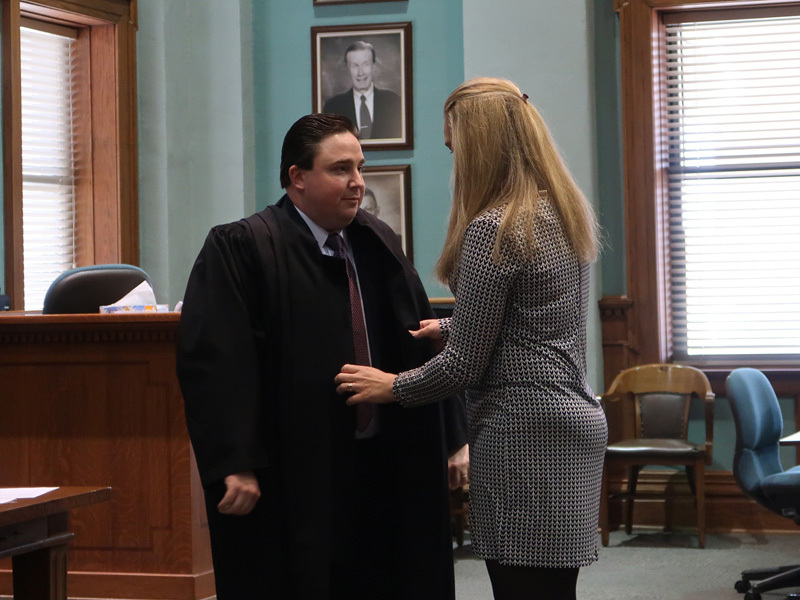 Judge Crane congratulated Judge Devine after the swearing-in. 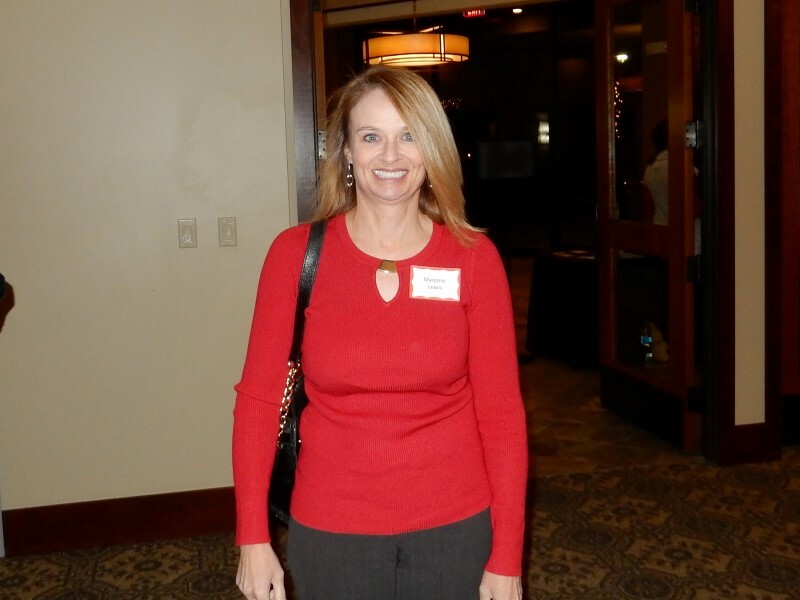 Christina Devine helped Judge Devine don his judicial robe. 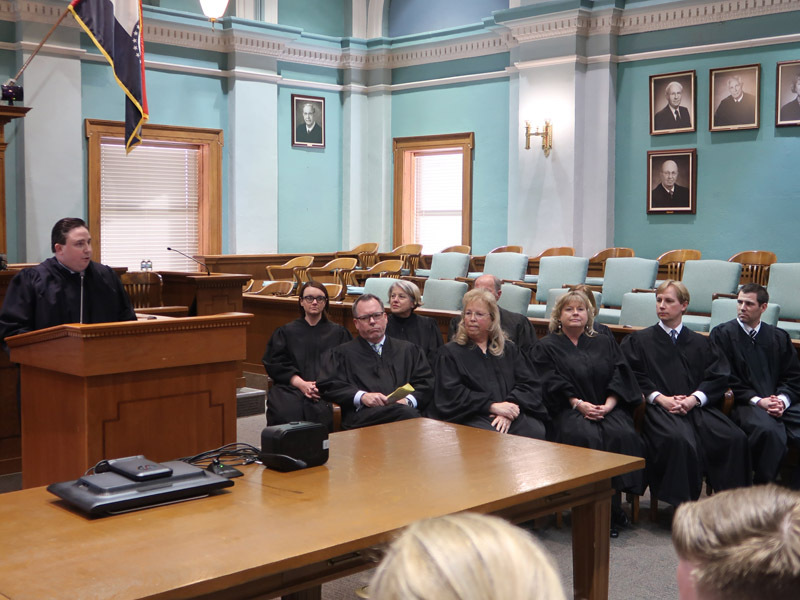 In this and the following photo, Judge Devine addressed the assemblage after being sworn in. 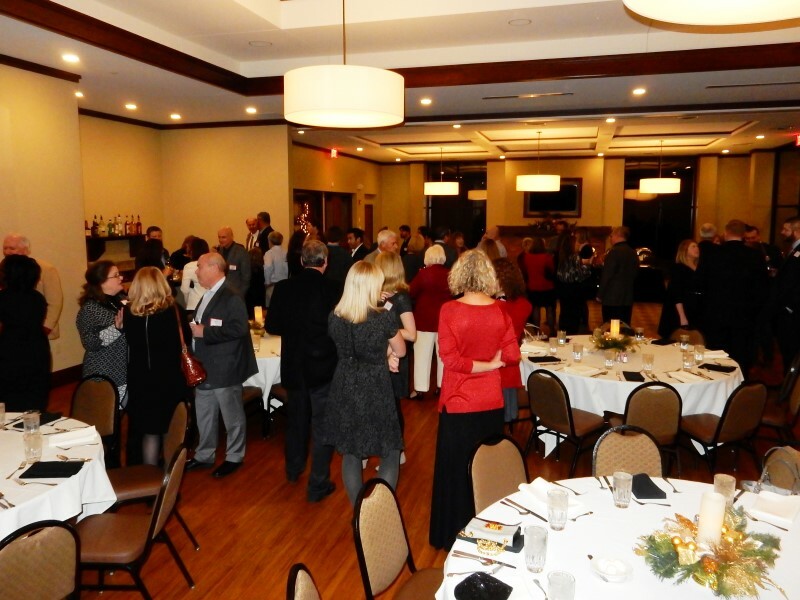 The annual Holiday Party was held at the Country Club of Missouri on the evening of Dec. 5, 2017. 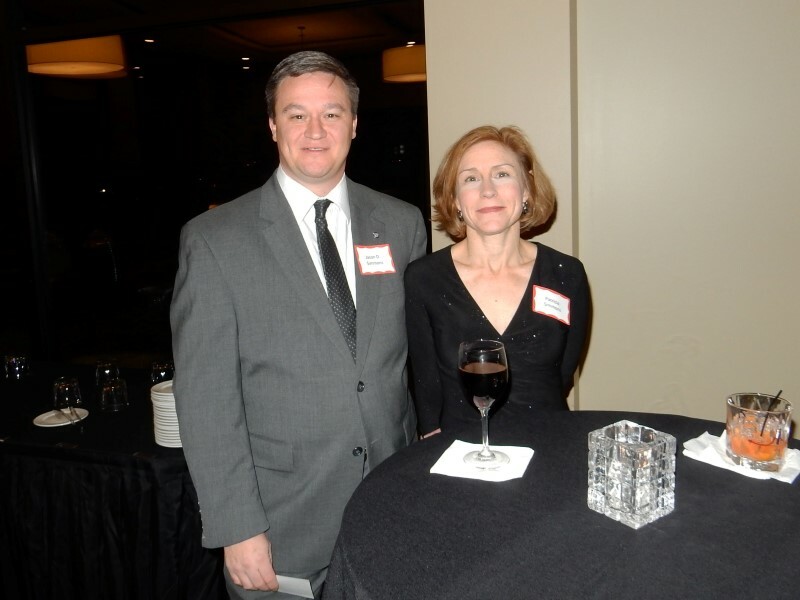 Spouses and dates were welcome. 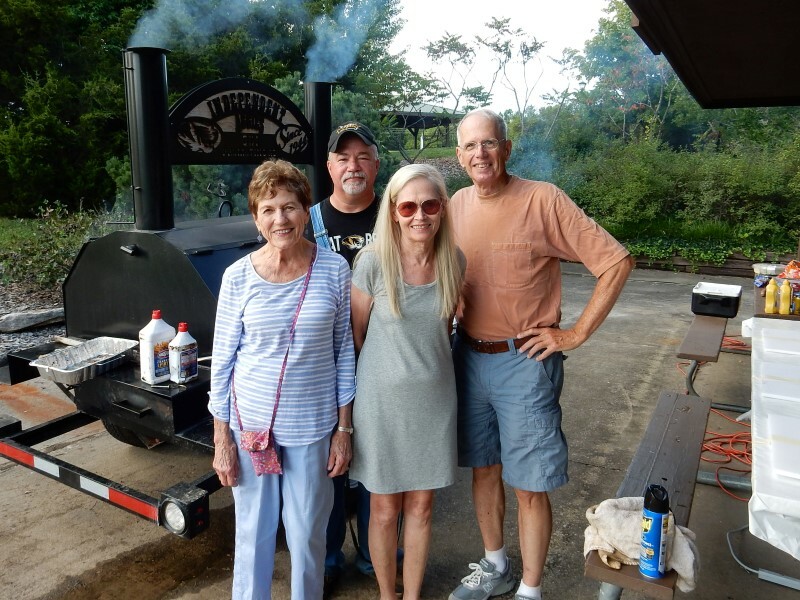 Click the arrows to see the next or previous photo in the slideshow. 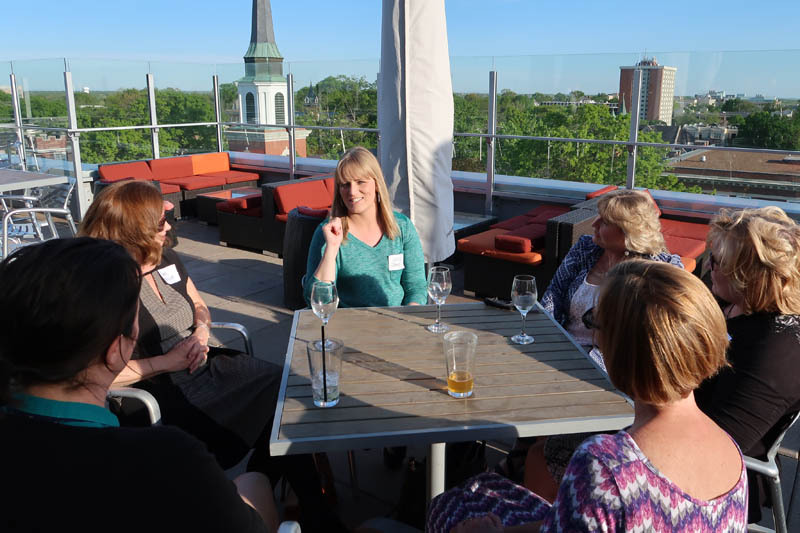 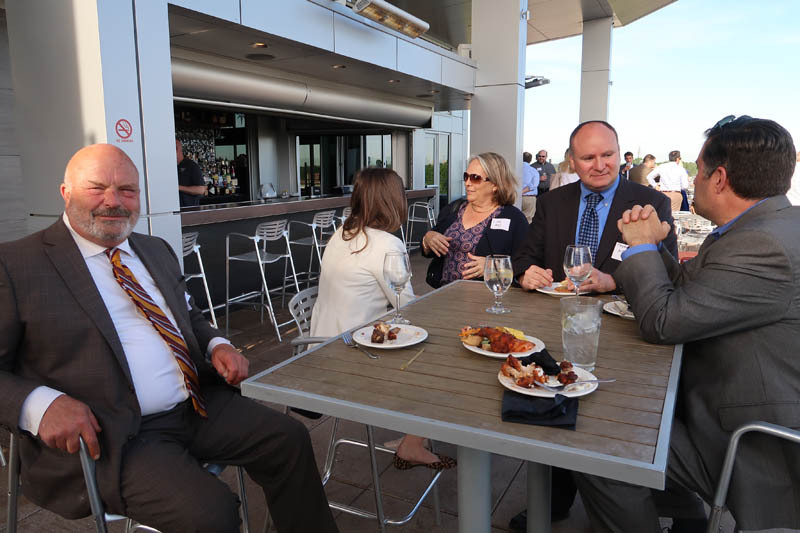 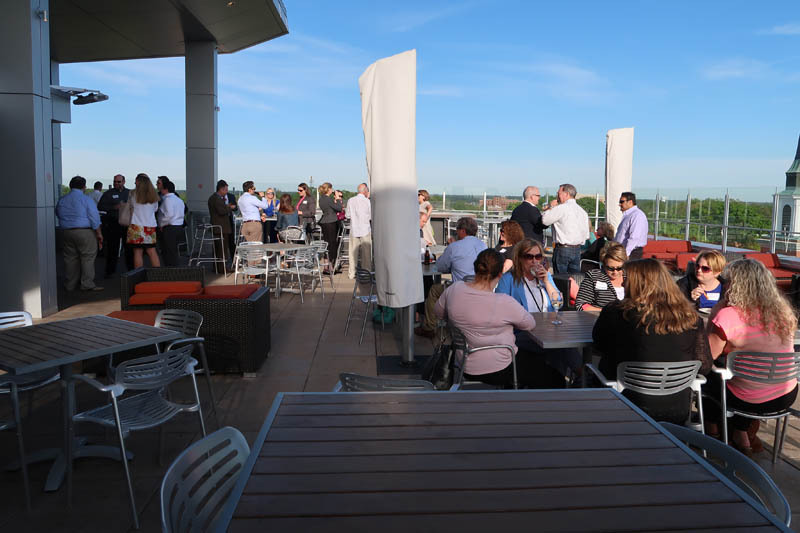 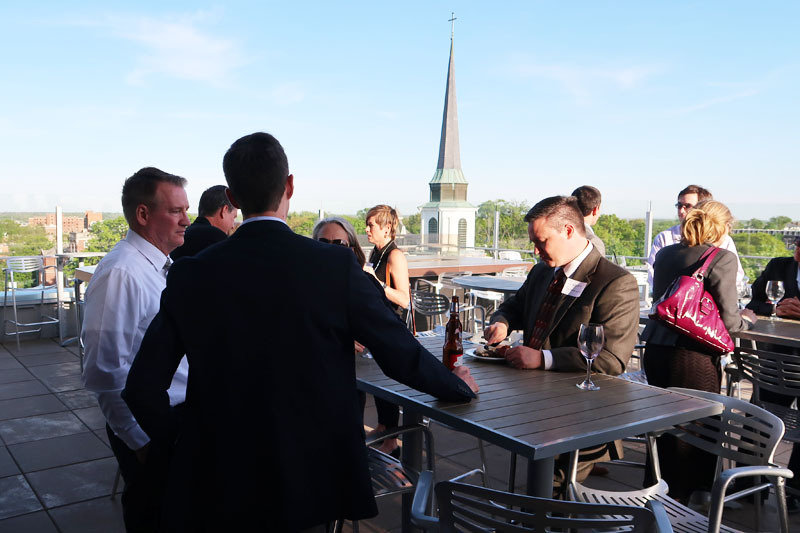 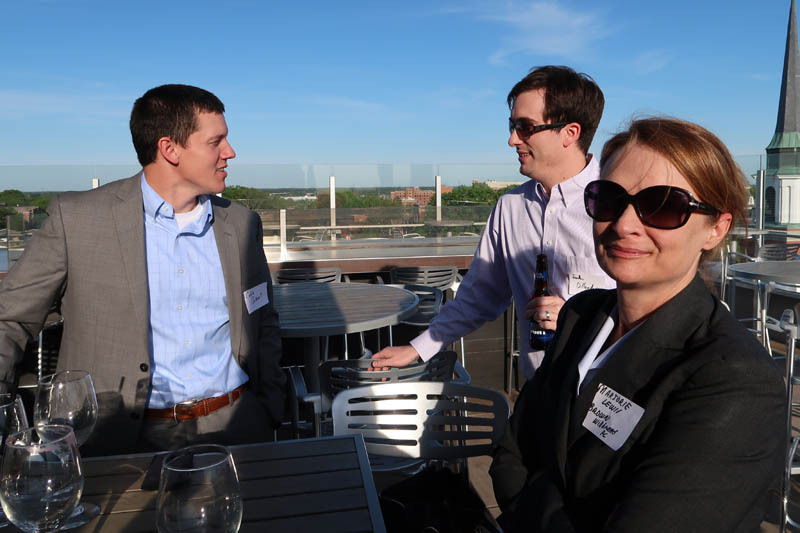 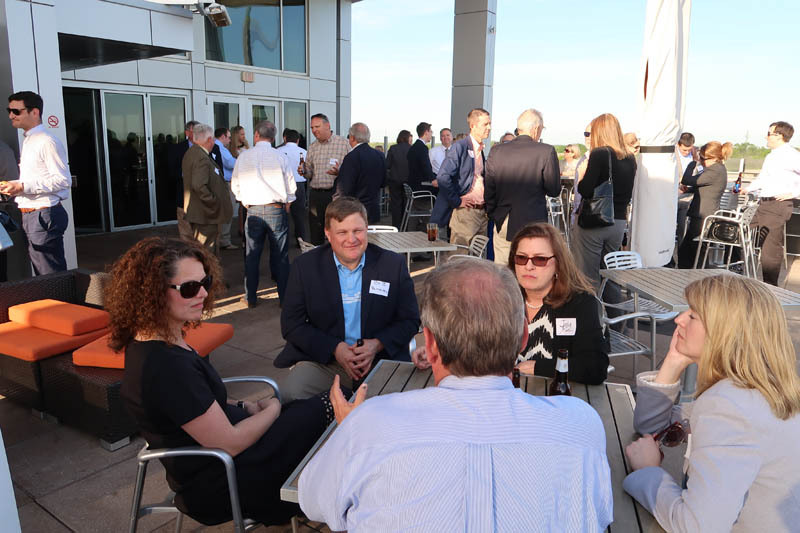 On a beautiful spring day, there was an excellent turnout for the annual Bench-Bar Mixer at The Roof atop the Broadway Hotel in Columbia. 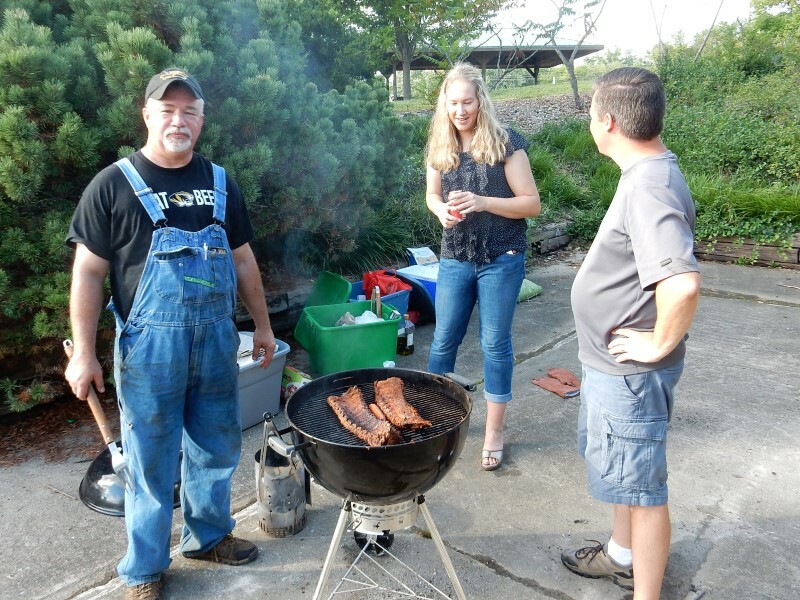 Click the arrows to see the next or previous photo in the slideshow. 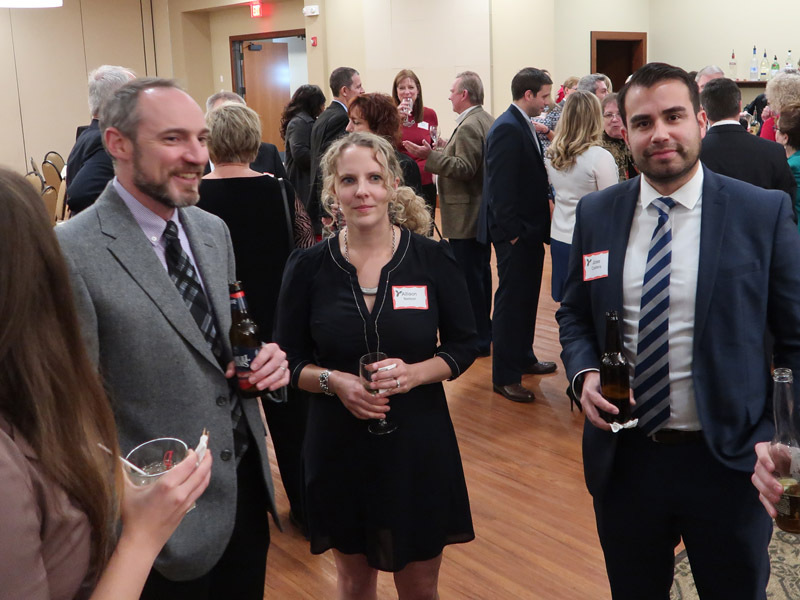 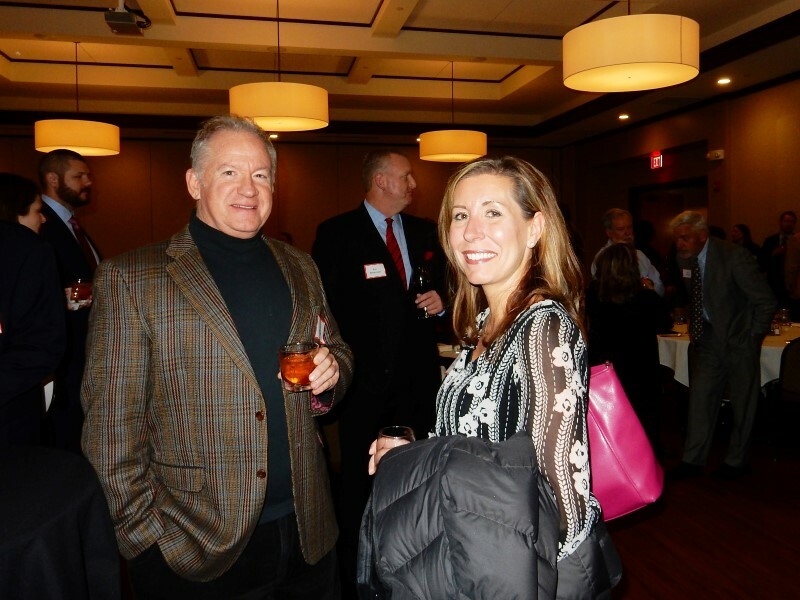 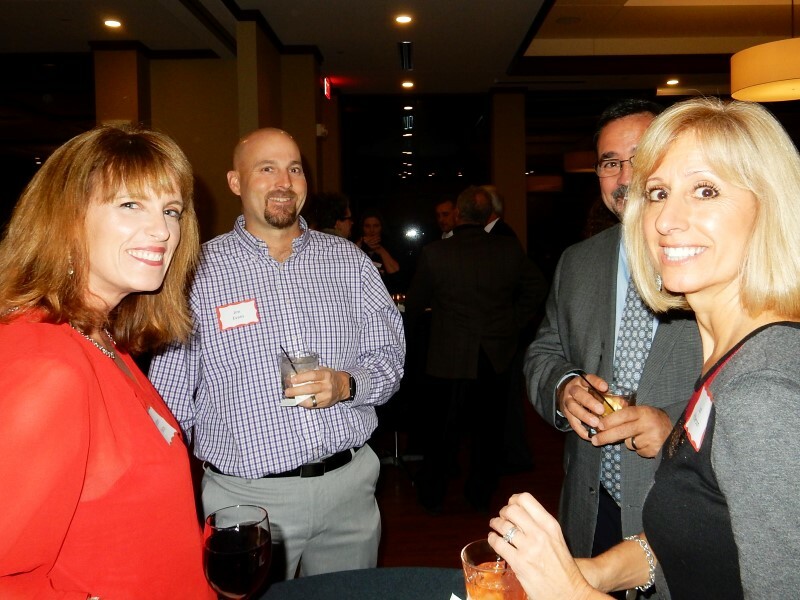 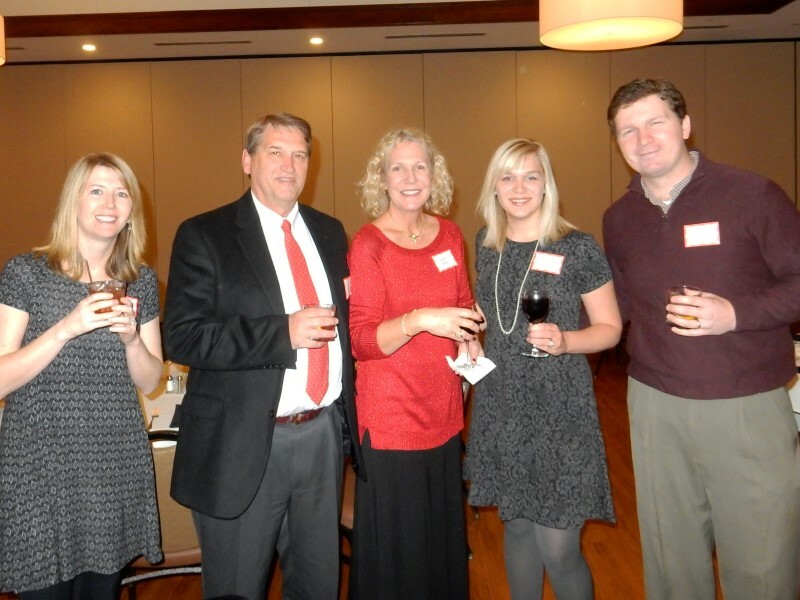 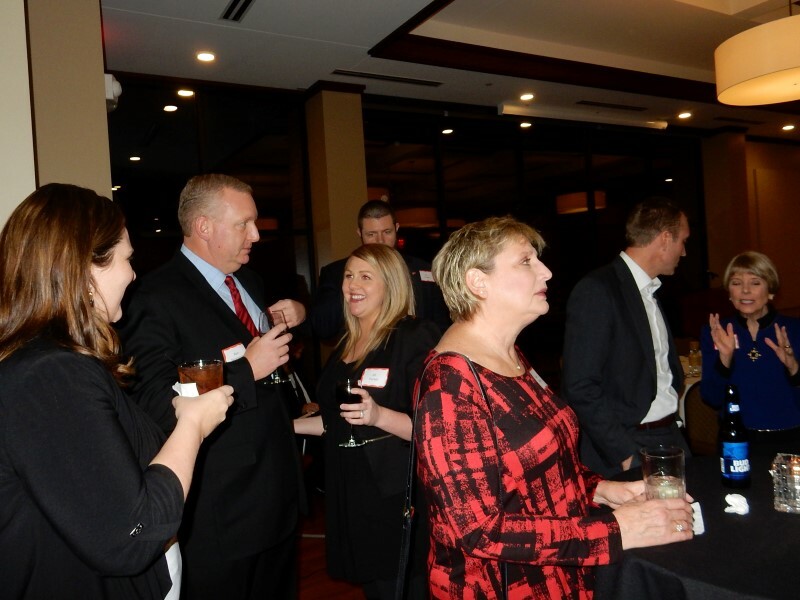 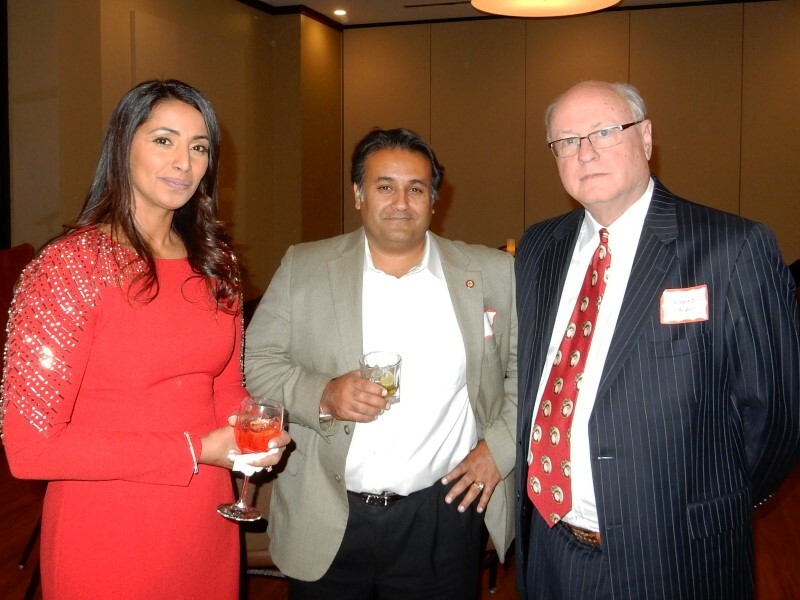 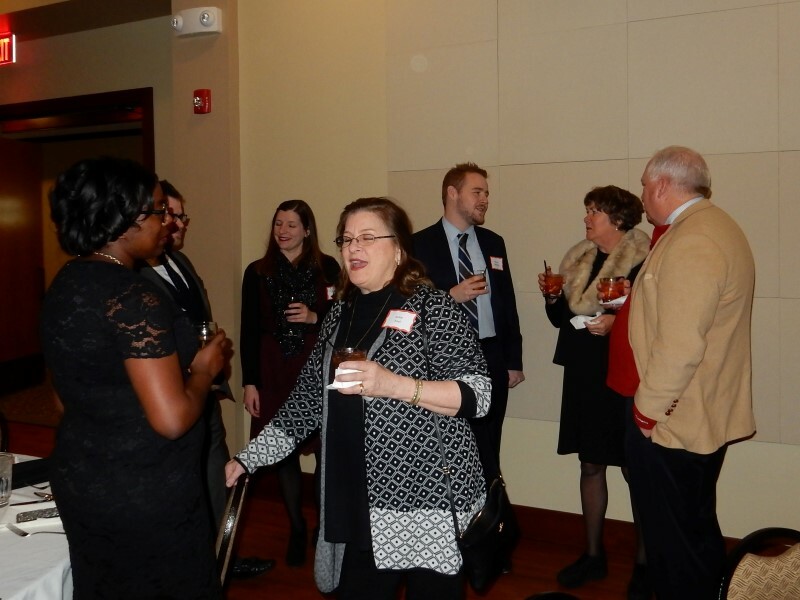 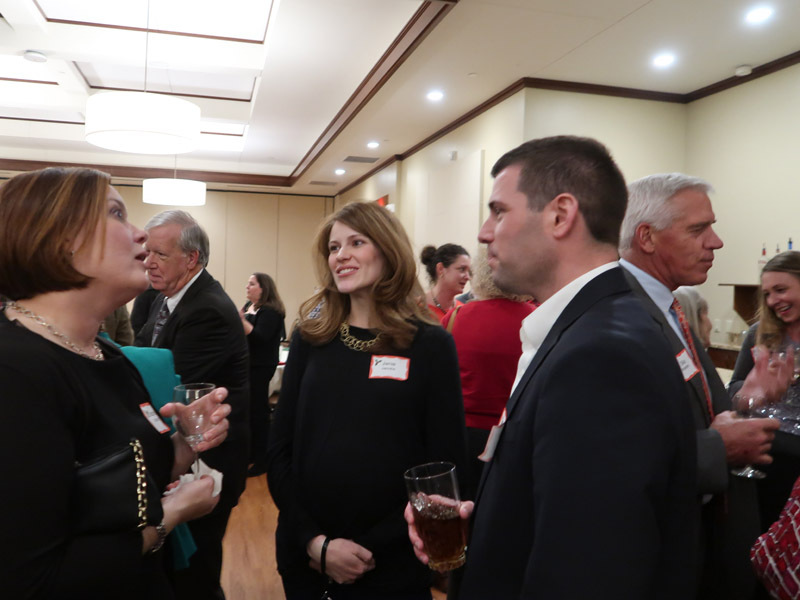 The 2016 Holiday Party was a great success, with about 90 people in attendance, including spouses and dates. 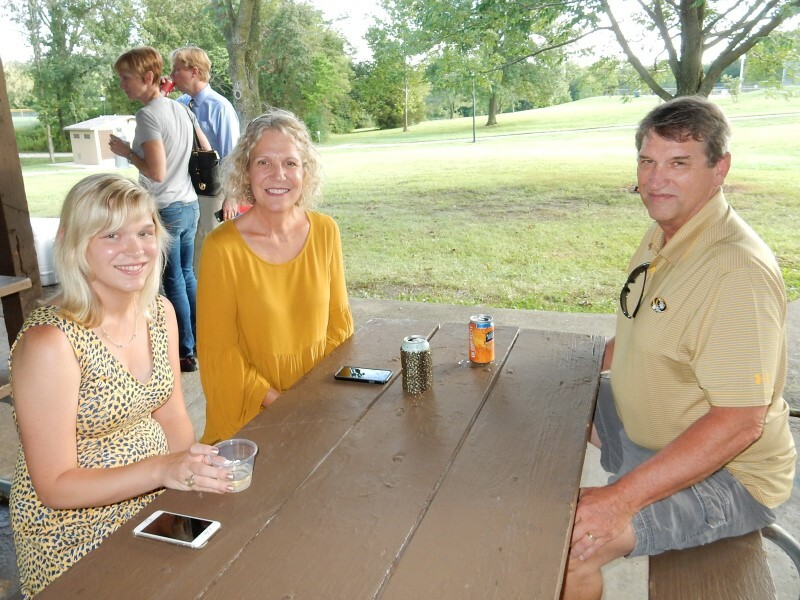 Click the arrows to see the next or previous photo in the slideshow. 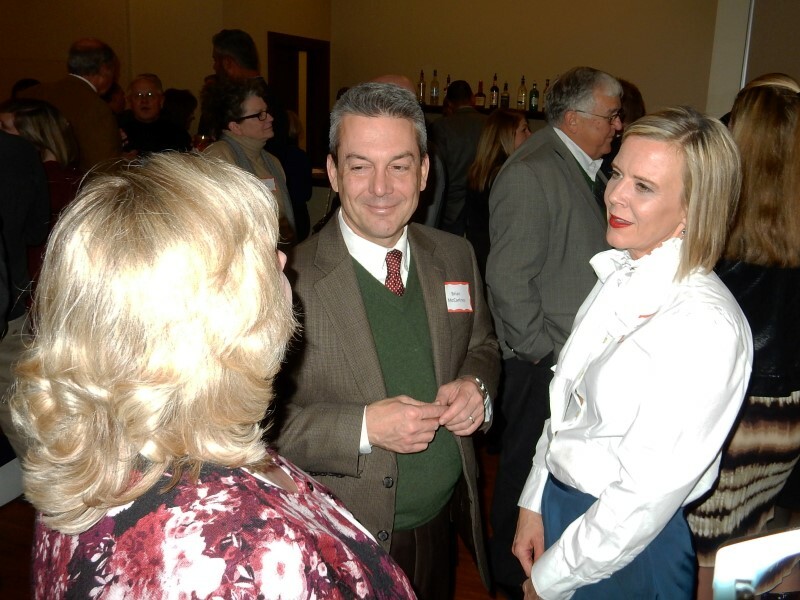 Jeff Harris, appointed by Gov. 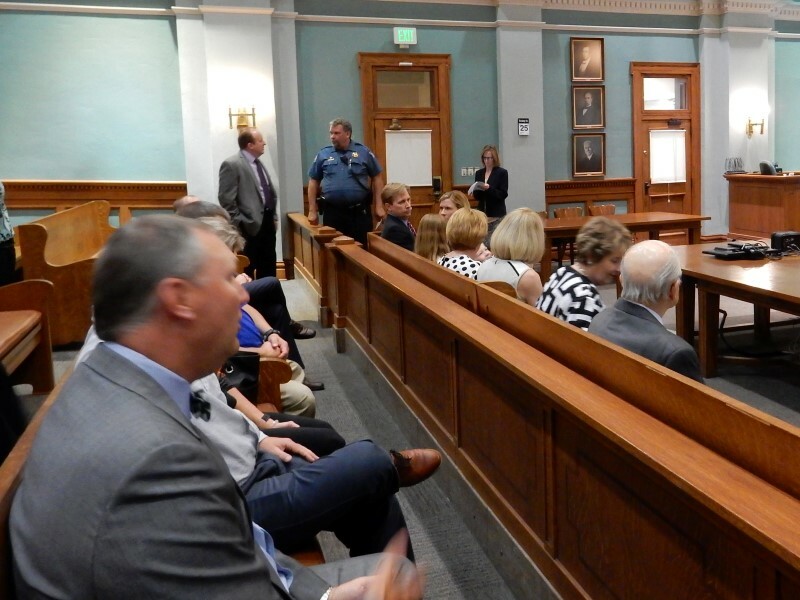 Jay Nixon to the Division II Circuit Judgeship, was sworn in during a brief ceremony at 4:30 p.m. April 25, 2016, in the Ceremonial Courtroom at the Boone County Courthouse. 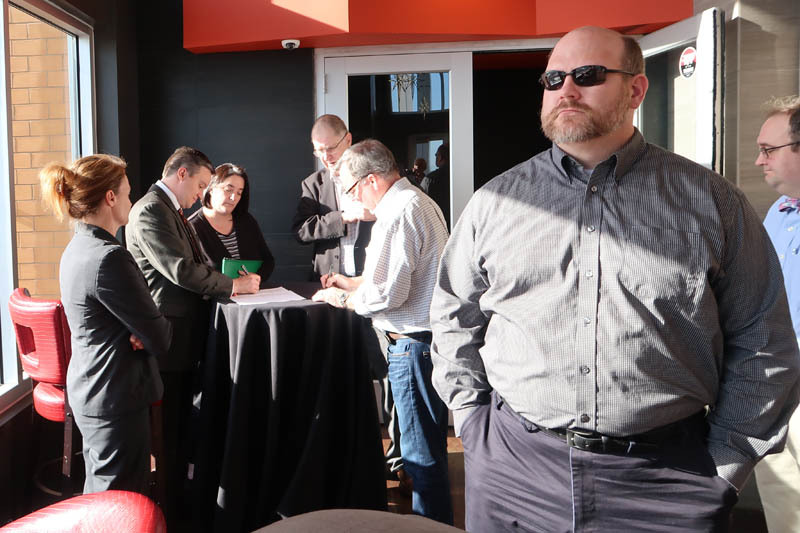 On the bench just inside the bar, Jeff Harris and his family members awaited the start of the ceremony. 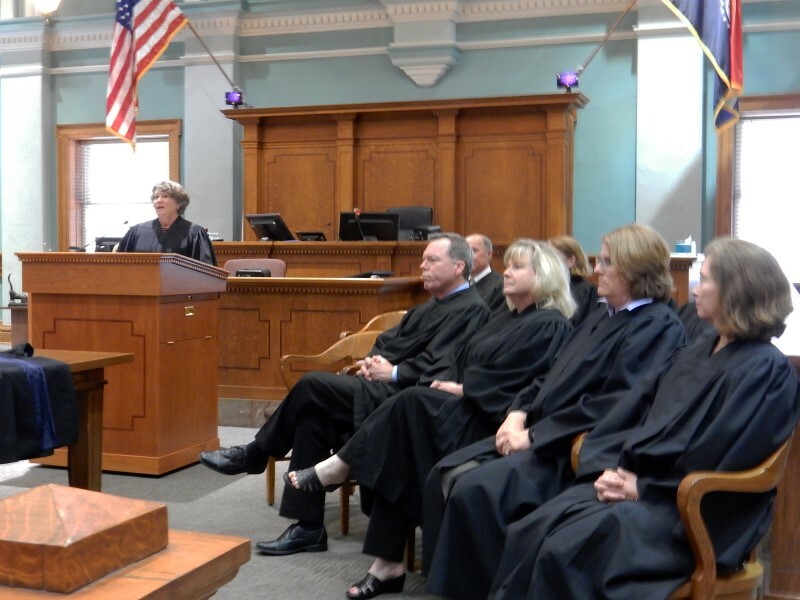 Presiding Judge Christine Carpenter opened the ceremony. 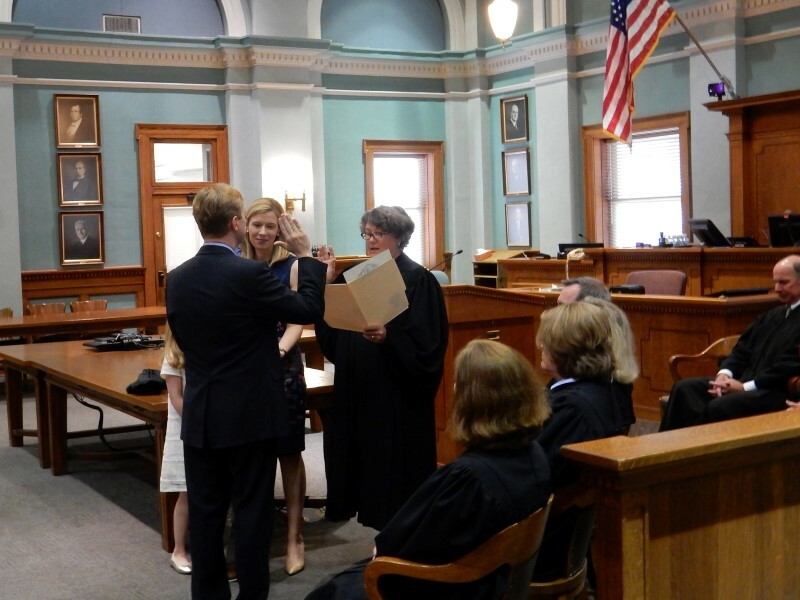 Judge Carpenter swore in Judge Harris as his wife and children looked on. 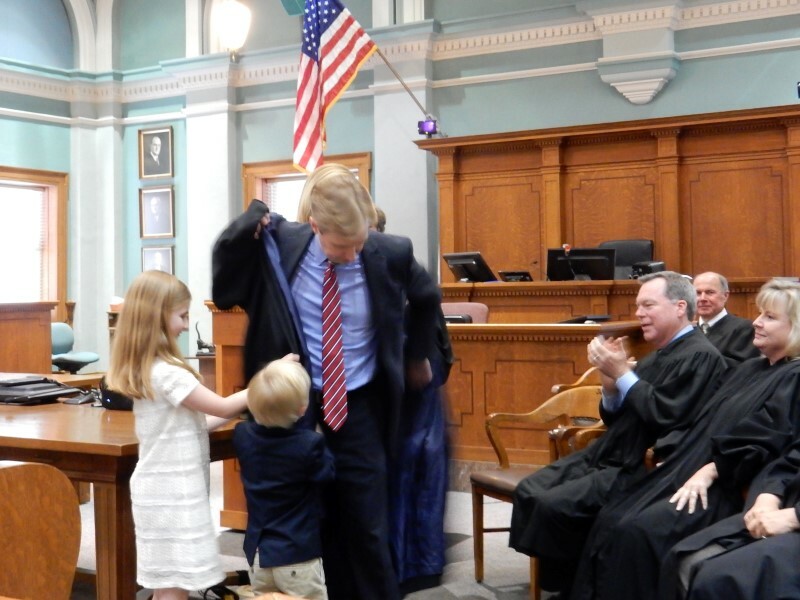 Judge Harris' children and wife helped him don his judicial robe. 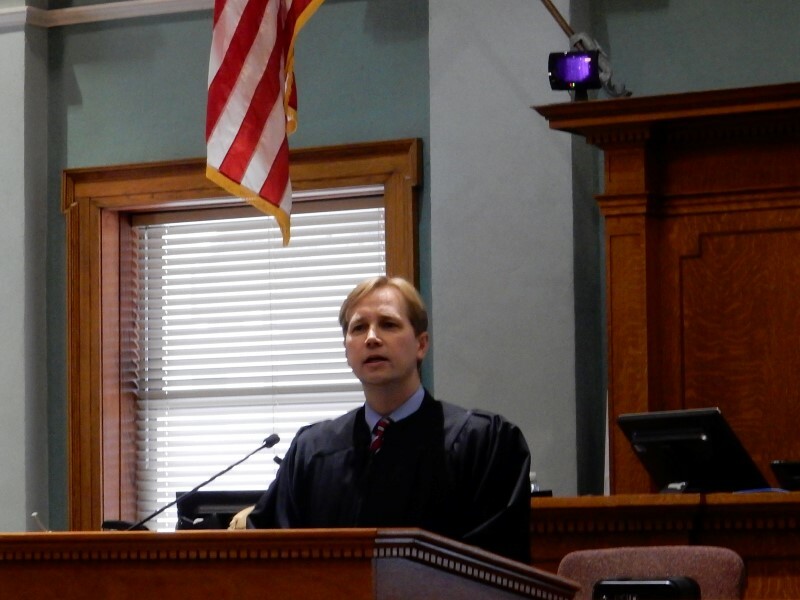 Judge Harris made some brief remarks before the ceremony closed. 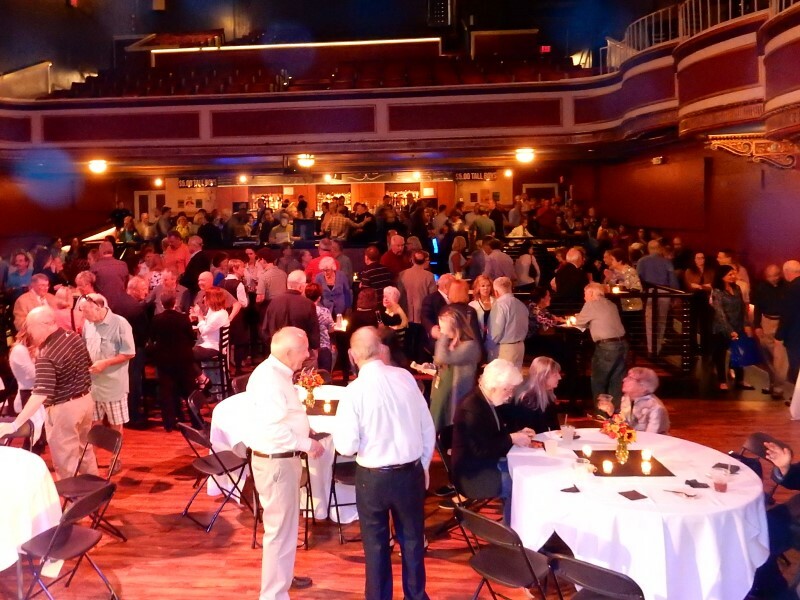 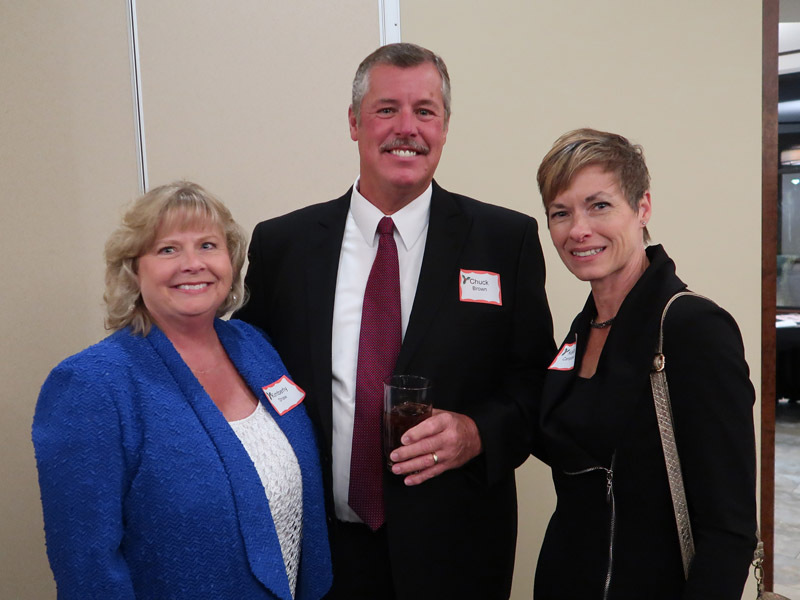 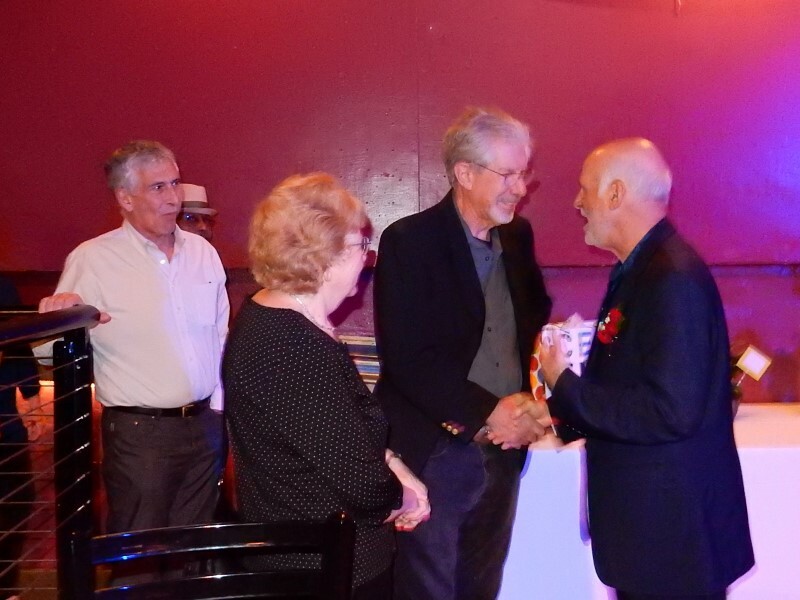 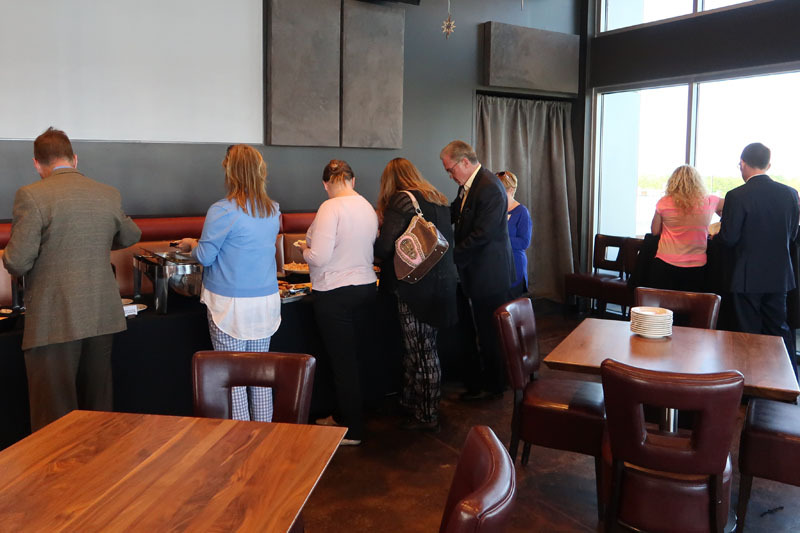 Bar members and friends of former Division II Circuit Judge Gary Oxenhandler gathered at the Blue Note on Friday evening, April 22, 2016, for a combination retirement party and observance of Judge Oxenhandler’s 70th birthday. 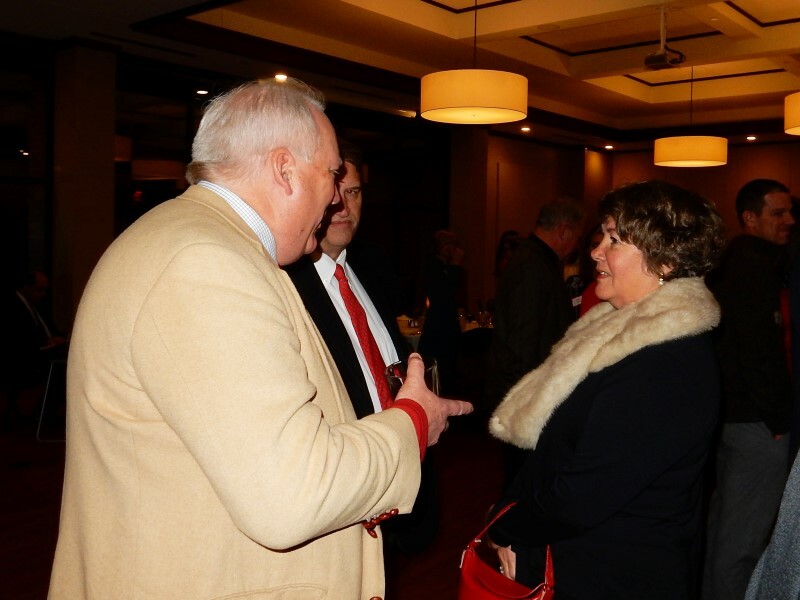 Judge Oxenhandler greeted well-wishers in a receiving line. 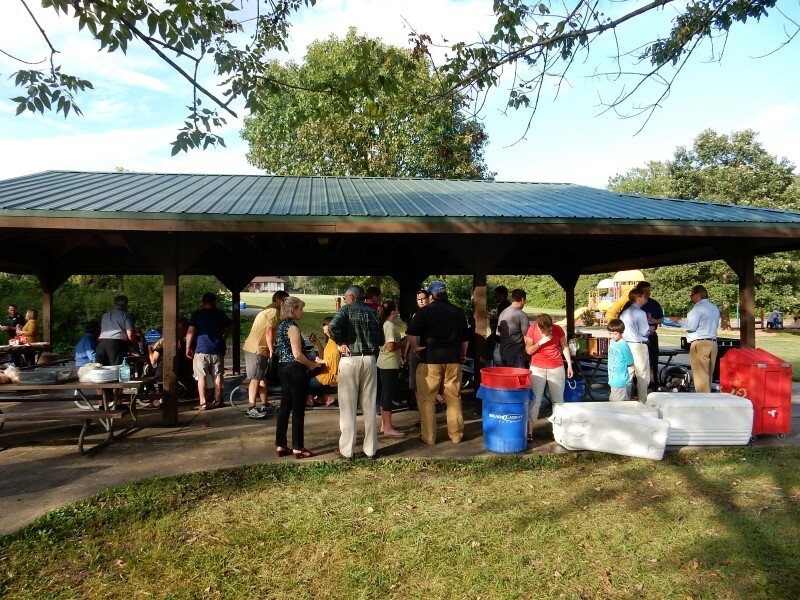 A view of the crowd about 5:30 p.m. 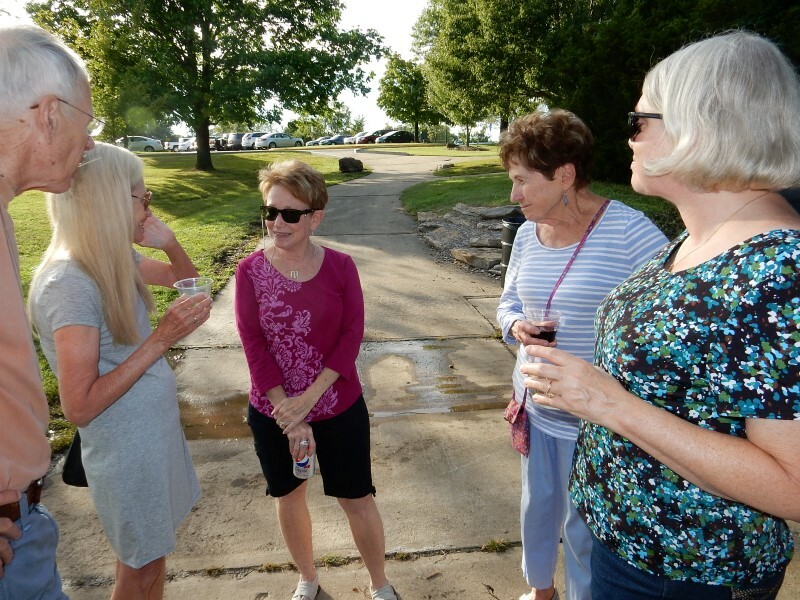 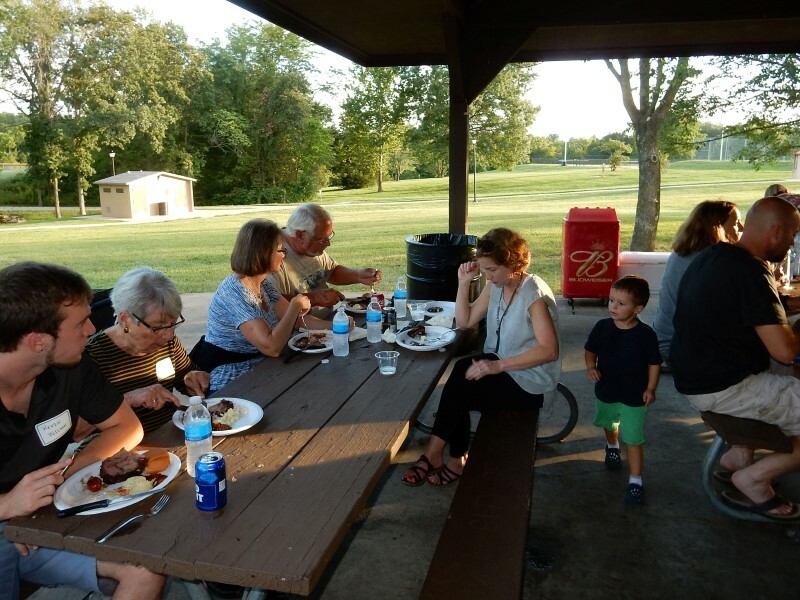 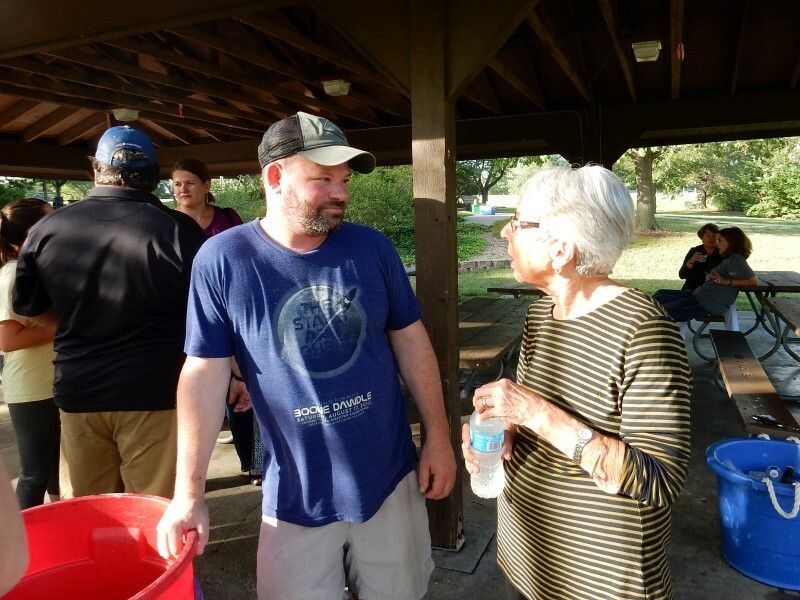 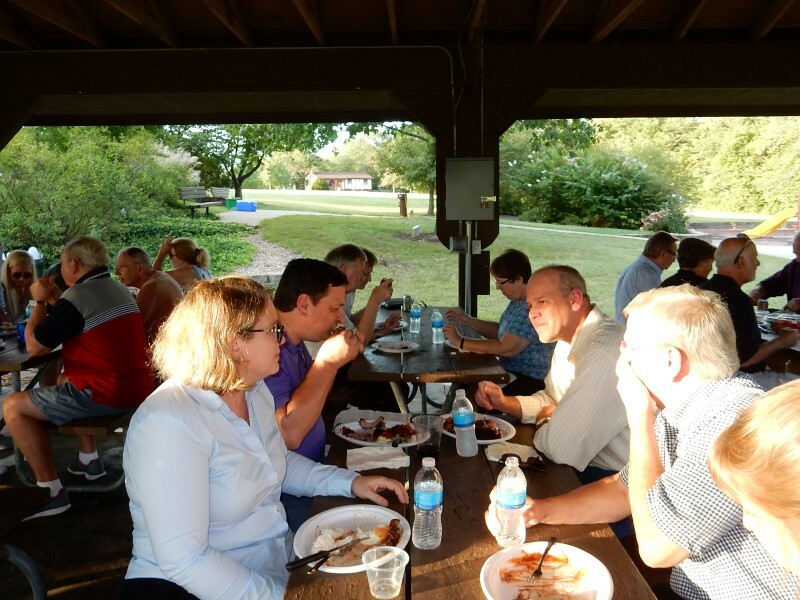 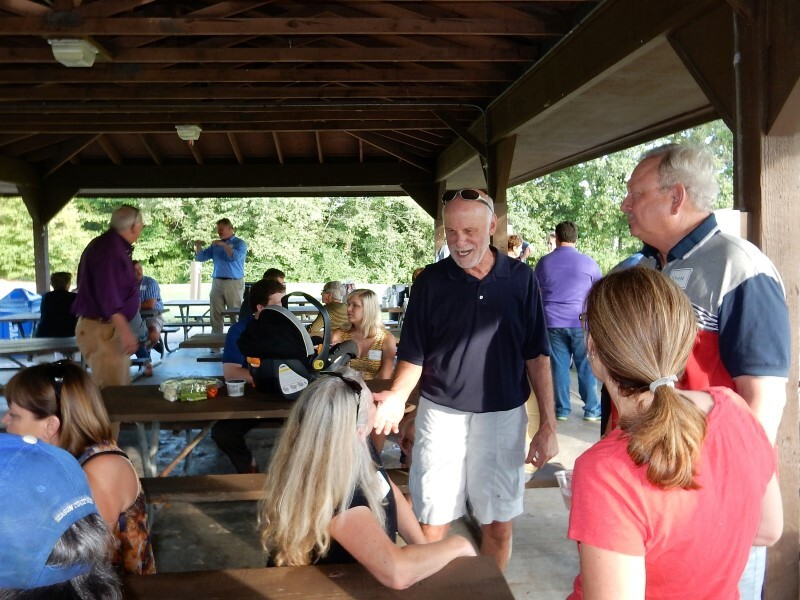 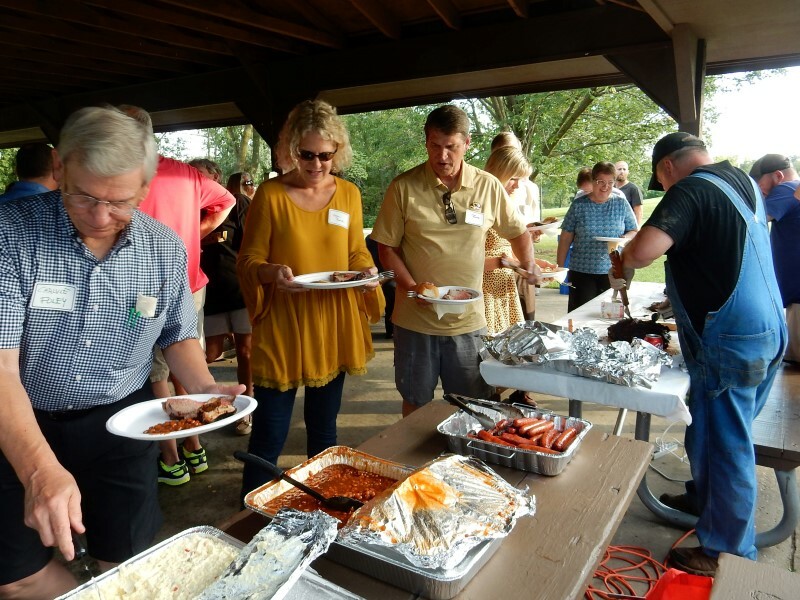 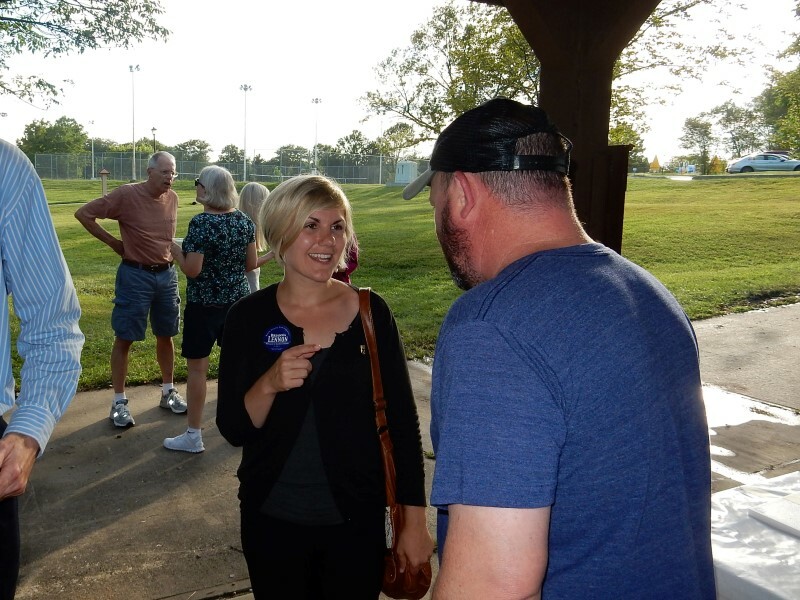 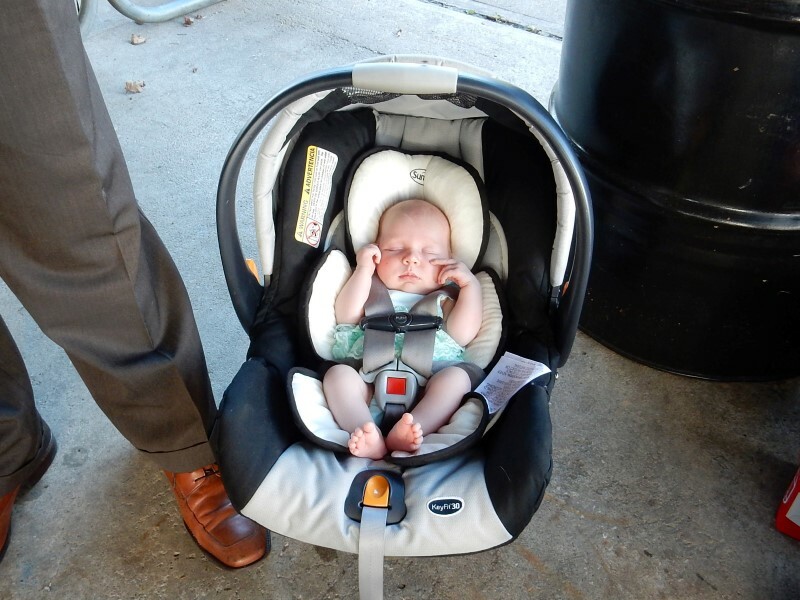 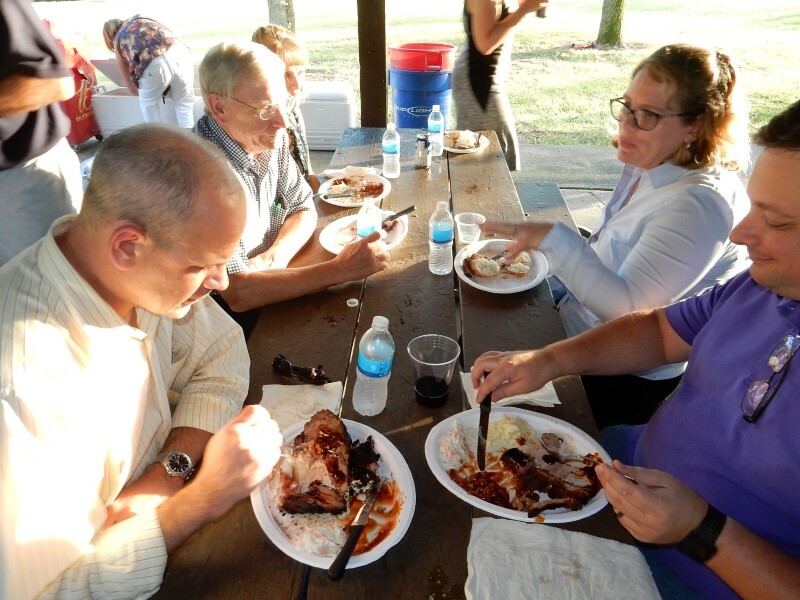 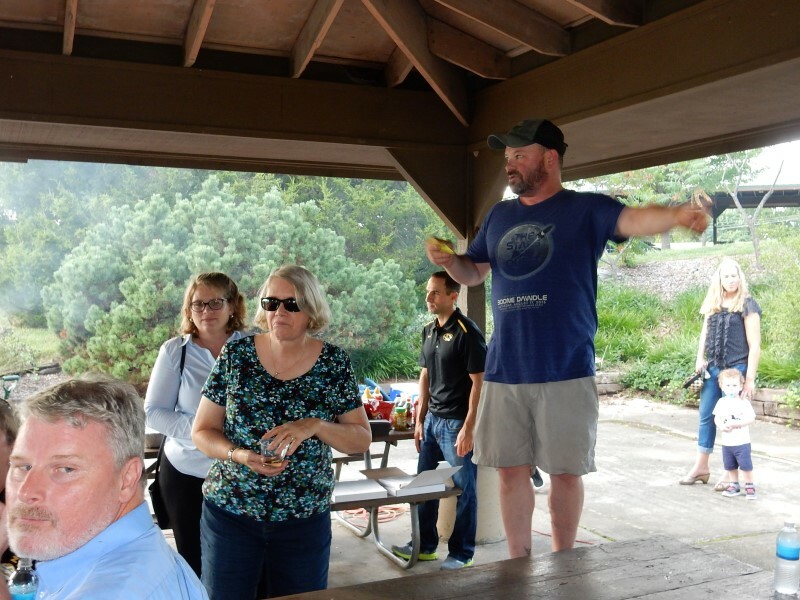 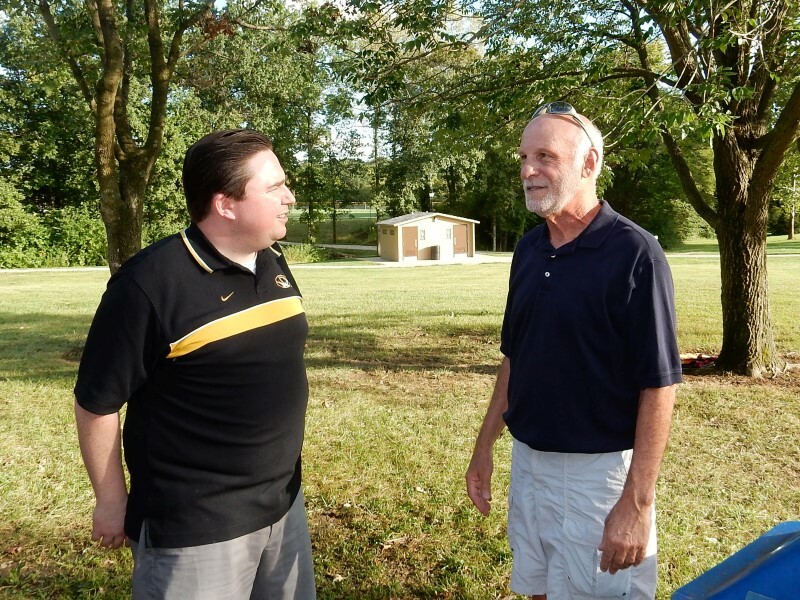 Almost twice as many were present by 6 p.m. when the brief program began. 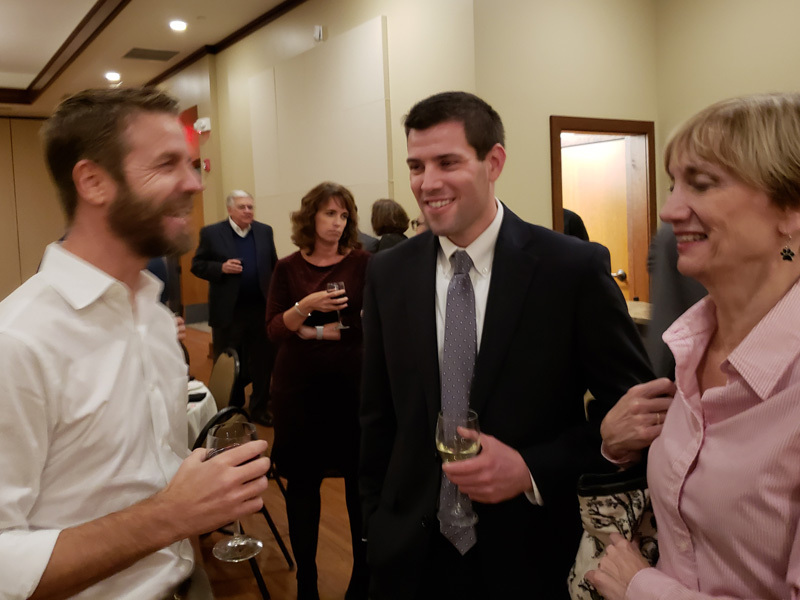 BCBA President Josh Oxenhandler, Judge Oxenhandler's son, introduced the program. 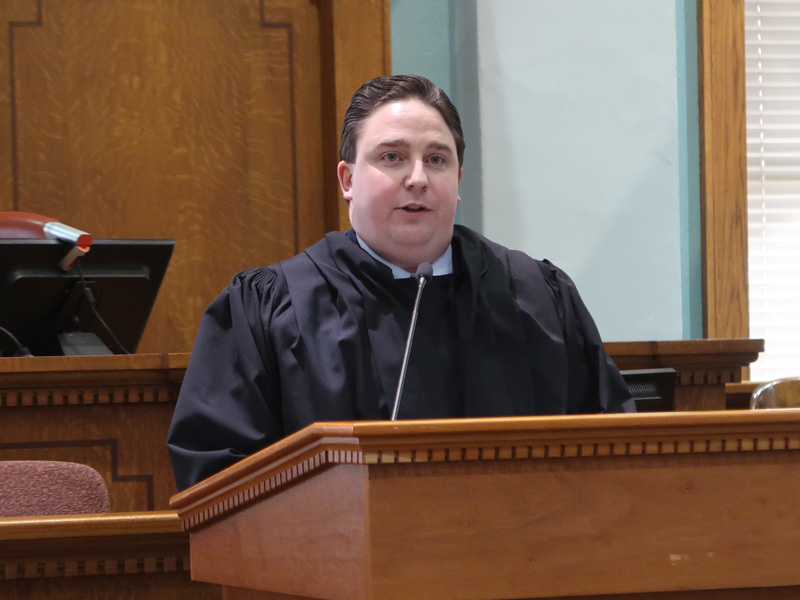 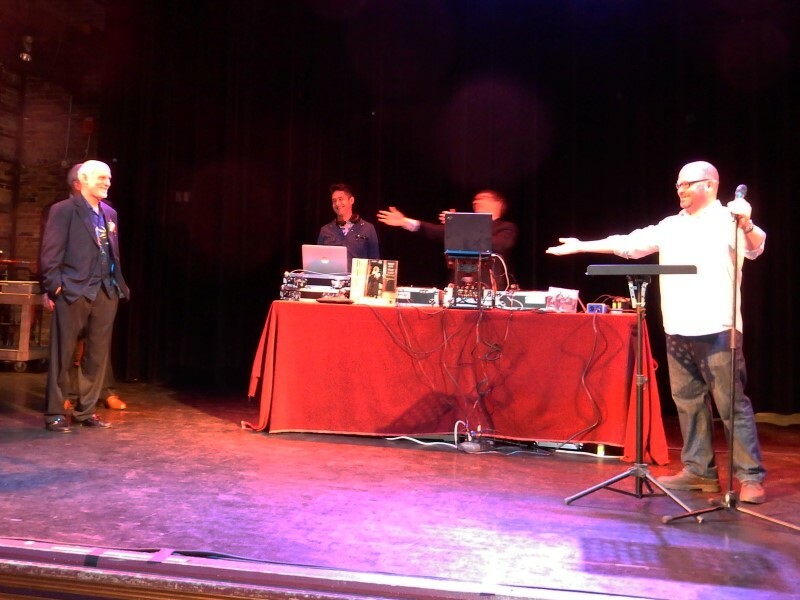 Josh Oxenhandler led the crowd in singing "Happy Birthday" to Judge Oxenhandler. 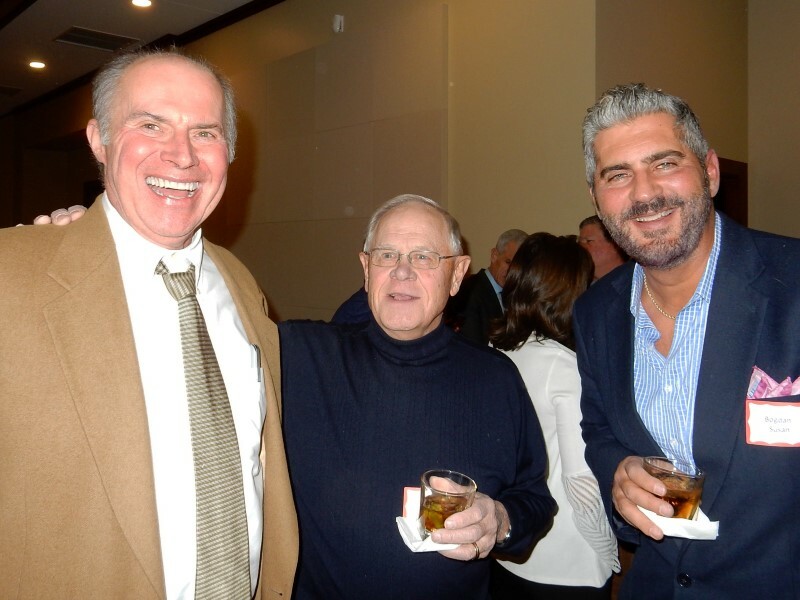 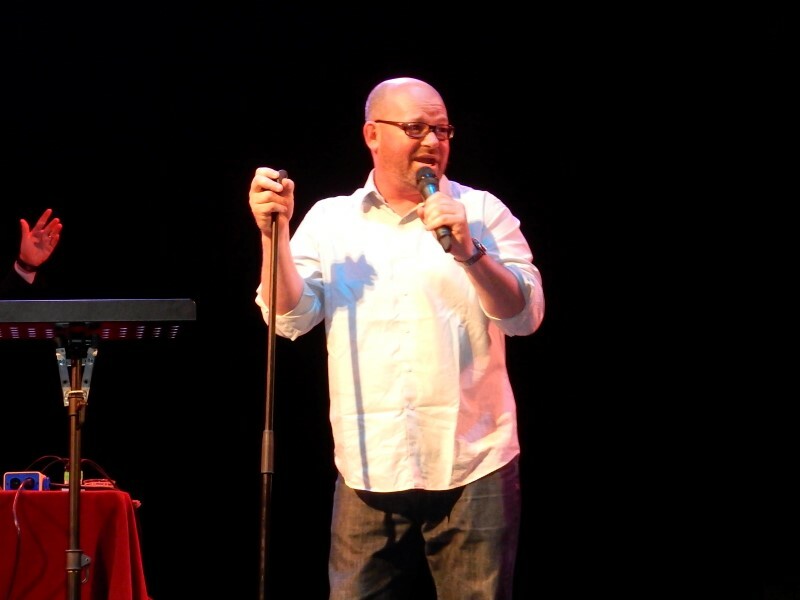 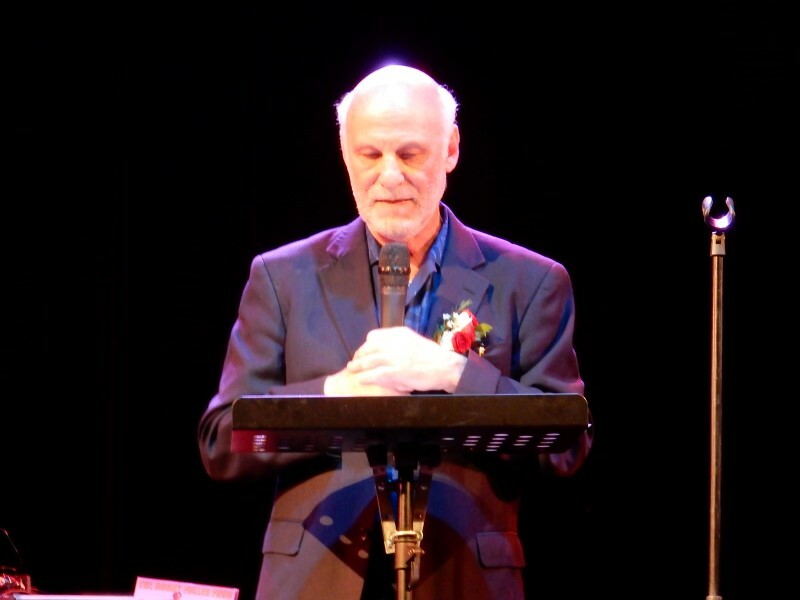 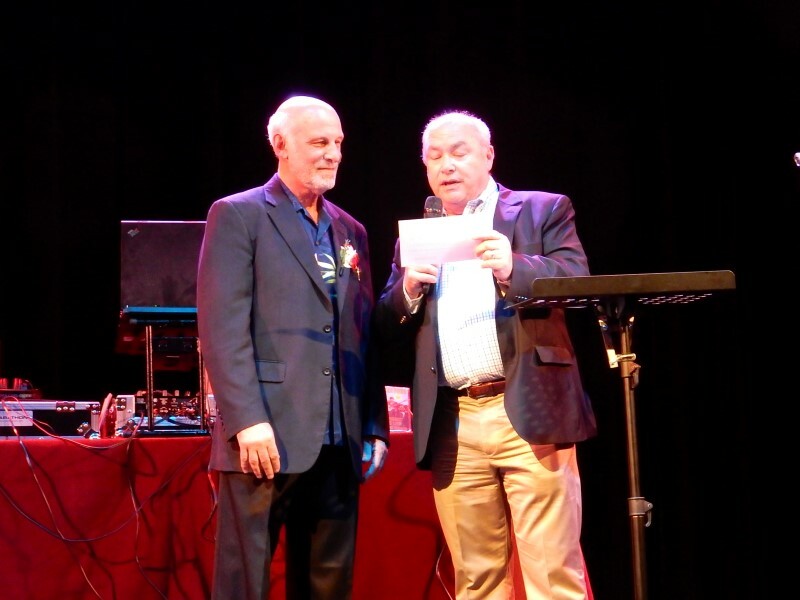 Bob Gerding engaged in a gentle roast of long-time friend Gary Oxenhandler. 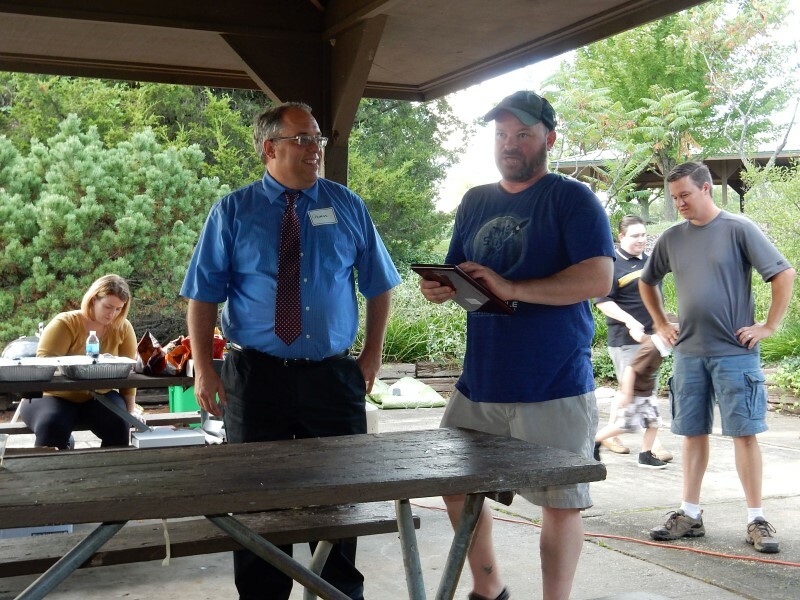 Wally Bley, at right, presented a travel certificate to Judge Oxenhandler that would take him and his wife as far as Ashland -- Ashland, Australia, that is. 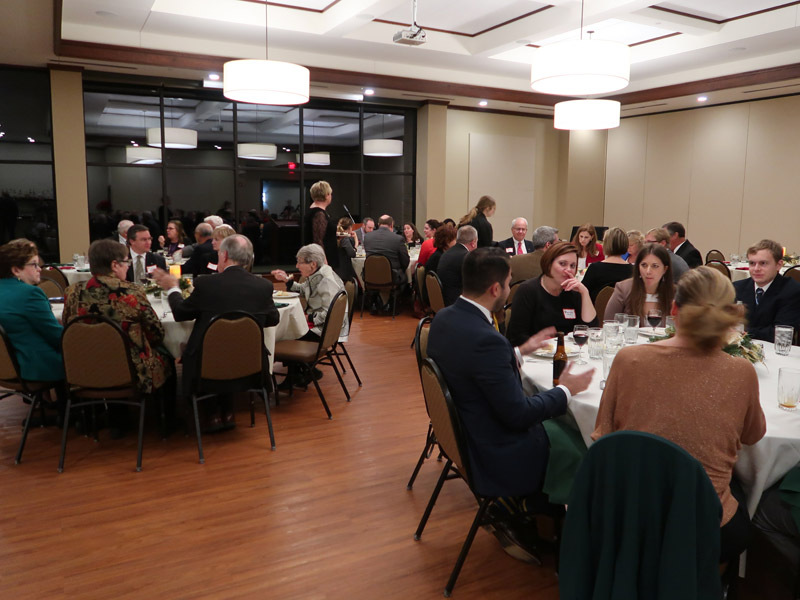 Judge Oxenhandler reflected on his time as judge and thanked bar members and friends.